Question: I'm working on an article on "historical apologetics." Who are the main "players" in the area of historical apologetics these days? What are the classic works -- those that are the must reads? -- Answer: Historical apologetics is a tough field in the sense that there are very few good books that provide much of an overview. You often have to do piecemeal research by getting specialty texts in the separate areas. For example, the subject of ancient parallels to Christianity has experienced a bit of resurgence in recent years. But several works are far better than the typically-cited ones. Certainly one of the best is Gunter Wagner's "Das religionsgeschichtliche Problem von Romer 6, 1-11" (Zurich: Zwingli Verlag, 1962), including an incredible wealth of information. (An English translation is also available.) A great Bibliography on the subject is edited by Temporini and Haase, "Aufstieg und Niederegang der Romischen Welt" (Berlin: Walter de Gruyter, 1984). Classical texts on this same subject during the last 100 or so years would include W. Bousset's "Kyrios Christos" (1913) and Otto Pfleiderer's "Early Christian Conception of Christ" (1905). Of course, Frazier's "Golden Bough" is a classic. Question: What is the significance regarding the witness of the Holy Spirit & the relation to evidence concerning the truth about Christianity? -- Answer: In the relatively few New Testament texts that address the witness of the Holy Spirit (such as Rom. 8:16; 1 Jn. 3:24; 4:13), the witness seems to be a deep, personal conviction that a person is a believer. This experience of the Holy Spirit complements the data, so that while the evidence indicates that Christianity is true, the Holy Spirit's witness indicates who belongs to the faith. It may be helpful to think of the witness as a personal relationship where the facts show that a friendship exists, and further personal experiences are an additional indication that builds on the facts. In fact, such experience might even be expected. So the evidence indicates that the facts are true and that a relationship is therefore possible, whereas the experience indicates that it is actual. Question: Can you recommend a good introduction to philosophy text? I want something rigorous (but readable), not just a popular treatment. Please add a good introduction to the problem of evil. And how about a text on reasoning fallacies? -- Answer: For a good (but still rigorous) introduction to philosophy text, I'd strongly recommend JP Moreland & William Lane Craig, Philosophical Foundations for a Christian Worldview (Intervarsity Press, 2003). Less difficult but still good is Ronald Nash's text, Life's Ultimate Questions (Zondervan Publishing, 1999). Alvin Plantinga is very influential. On the problem of evil, you might try his classic text God, Freedom, & Evil, which was published by both Harper as well as by Eerdmans. For informal logical fallacies, I'd check almost any good logic text (such as Irving Copi's) & consult the list of Informal Fallacies that are always good for dialogues. Question: I've been exposed to some Buddhism as well as some other non-religious eastern philosophies. And I've found there are such striking similarities to Christianity that it's difficult not to suspect that all of these are different paths leading to the same truth. I was wondering if you could recommend some good readings on this subject. You mentioned that you were once about to become a Buddhist, so I'd be really interested to know how you came to both the intellectual and personal conclusion that Christianity is where the truth lies. -- Answer: It's difficult to imagine how Buddhism (or any other religion) would bear "striking similarities" to Christianity, except perhaps in certain ethical similarities or general beliefs about certain aspects of the world. The Gospel is at the center of Christianity--the Deity, atoning death, and resurrection of Jesus--and no other religion teaches any of these doctrines. In my own search, I realized, along with many critical scholars, that if Christianity were correct at these points, then Christianity would follow. So in my own studies, I concentrated on these particular, central beliefs to see if anything could be historically affirmed regarding who Jesus thought he was, whether or not he died, and whether or not he was seen again afterwards. Upon reaching the view that these Christian claims could be heavily evidenced, I came to the view that Christianity was far stronger than other religions that made claims without having evidence. Question: I have heard that C. S. Lewis was not a Christian, but was actually a Satanist. Could you comment on this? -- Answer: I have to confess that I have a very difficult time believing that Lewis was a Satanist. As a scholar of classical literature, he introduces many mythological characters that evangelicals don't normally discuss today. But this is very far from him being a Satanist. It seems I read somewhere years ago (but I'm not positive) that Lewis said that if he knew when he wrote Narnia what he knew then, he wouldn't have mentioned things like "white magic" and so on. I think Lewis is mistaken concerning various theological tenets, and some of these items are more important than others. Even if he shouldn't have used some of the images and words that he did, I fail to see how that makes everything he wrote wrong or satanic. Question: Dont adherents of the Reformed Epistemology position hold that while evidence is not strictly necessary (i.e., the concept of God is properly basic), there are still good arguments and evidence available to confirm the inner witness of the Holy Spirit? Fideists, however, make no appeals to argument or evidence, but claim such assurance as that which is provided by the inner witness of the Holy Spirit either experienced solely on a personal level (Karl Barth) or through the hermeneutic of the community of faith (Lesslie Newbigin). Would that be right? -- Answer: One huge issue that I have with Reformed Epistemology, or even the older Van Tillian presuppositionalist stance, is that these scholars seldom seem to get around to actually doing the evidences! But in all fairness, they say it is fine to do so. Plantinga, for instance, has an unpublished essay where he lists two dozen arguments for the existence of God. It seems to me that various presuppositionalists are softening up on this one. For the evidentialist, personal testimony and the witness of the Holy Spirit are only for believers, most likely for the purposes of personal assurance, but not to decide doctrine. This position is established by Scripture. It is not used to prove a world view with regard to unbelievers, however. After all, Paul says natural man can't understand these sorts of things, so it wouldn't seem useful with them. But neither is faith weak or merely a tack-on at the end of an argument. Faith, personal testimony, and the witness of the Spirit all play absolutely crucial roles and do what reason and sense data cannot: they appropriate and apply the data. They go further and provide assurance, rest, and conviction. Question: What sources could you recommend for defending the Christian faith against the accusations given in Dan Browns The Da Vinci Code? -- Answer: Probably the best book on "Da Vinci" is Ben Witherington, The Gospel Code (IVP, 2004). Also check out: Darrell Bock's Breaking the Da Vinci Code (Thomas Nelson, 2004); Hank Hanegraaff and Paul Maier, The Da Vinci Code: Fact or Fiction? (Tyndale, 2004); Erwin Lutzer, The Da Vinci Deception (Tyndale, 2004); Josh McDowell, The Da Vinci Code: A Quest for Answers (Holiday, FL: Green Key Books, 2006); Karl Payne, The Da Vinci Code (TCT, PO Box 31, Redmond, WA, 98073-0031). Question: It seems that there is enough evidence to believe in the Christian faith. However, sometimes it still seems that there is not enough. Why would God only give us evidence but not enough to be conclusive? -- Answer: You ask a good question. As Peter Kreeft likes to say, following Pascal, God's purpose is to show or give us enough data to help us to believe, but not enough to coerce us. God wants us to come on our own and pursue him. Another excellent angle is that taken by another philosopher, Paul Moser, in Why isn't God More Obvious? : Finding the God Who Hides & Seeks [RZIM Booklets, order at: 1-800-448-6766]. It's a wonderful angle on all this. He argues among other things that too much evidence may actually have the result of satisfying us without our ever coming to God, thereby satisfying our senses, but not contributing much to us developing a personal and family relation with him. I find these distinctions to be exceptionally helpful. The strong reasons that God does give us include a rich array of evidences that show conclusively that Christian belief cannot be wish-fulfillment alone. For example, he has given the documented cases of answered prayer, healings that cannot reasonably be explained otherwise, and especially near-death experiences that are highly evidenced. And what do we do with those believers who, during such an experience, report seeing Jesus face to face and experiencing the most incredible love they ever thought was possible? Interestingly, some of them comment how this experience answered all their own questions about God's silence. Just recently I read an email about a college professor who said that, after an NDE, he not only believes in Jesus Christ, heaven, and hell, but he has personally seen each of them!! This angle mixes both the evidential and the experiential. Remember that Jesus gave "doubting Thomas" a mild rebuke for his lack of belief (John 20:29). His point seemed to be that even though Thomas had not yet seen the risen Jesus for himself, he still should have believed the good testimony of his colleagues who had seen him. Question: I was wondering if you would provide some resources in terms of crisis counseling. -- Answer: Quite frankly, I am not qualified to address any questions from a psychiatric, psychological, or even from a professional counseling perspective. I approach the subject of religious doubt from a pastoral perspective, having gone through doubt myself for over ten years. I have also had many discussions with those who have suffered similarly. Think of my advice as one person sharing experiences with another. And sorry, but even here, just from a letter or series of letters, I can only make broad suggestions that are too often no more than guesses. I would recommend that you consult the appropriate authorities in each of these areas. For popular reading, good books are always helpful. I'd highly recommend books by William Backus, such as: (with Marie Chapian) Telling Yourself the Truth (Bethany House, 2000) and by Backus, Telling the Truth to Troubled People: A Manuel for Christian Counselors (Bethany House, 1985). Question: Could a person really and truly be a Christian and yet struggle with doubts off and on her entire life? I have several questions: How much do "feelings" (like my loudly-beating heart) matter? Could my heart/emotions be deceiving me? And should I keep moving forward even when I don't feel like it and even when I wonder where I am? -- Answer: Sure, in my opinion, it's not only possible for believers to have the same kinds of questions that you express, but it's also very, very common. In fact, it's almost impossible to avoid them! This especially pertains to the assurance-type of issues that you describe. In my experience with this subject for over 30 years, virtually every believer goes through such issues at some time. Regarding our emotions, they are God-given, they can be wonderful, and they should be enjoyed. So we don't deny them. However, when it comes to answer our questions, we must all learn immediately that our feelings must not be allowed to dictate what we believe. In other words, enjoy your wonderful emotional times and be prepared to work through the rough times. But whether our emotions are positive or negative, my point is that they have their place. So when we deal with doubts, salvation, etc., we should never rely on our emotions either one way or the other. Once you've decided in favor of Christianity, yes, I think there is virtue in learning to keep moving ahead even when we are confused. Scripture is clear that it's all about where we are in our hearts. Hopefully, the clouds will clear and you'll see that, by God's grace, you were on the path all the time! Question: What is your advice when I have doubts like, "This Christian stuff is all just pie-in-the-sky wishful thinking"? This doubt is the worst--that it's all been made up to give humans comfort. Surely this isn't the case? -- Answer: To me, this is a fine example of the "What if?" question. It is a very frequent indicator that your question is emotional in nature. Why? For one reason, because you have not found any new evidence in support of your doubts. Rather, you are basically asking, "What if Christianity is not true?" If I'm correct that this species of doubt is usually emotional in nature, then piling up more evidence probably will not solve it. As long as we keep asking, "What if?" questions, we can always trump any evidence whatsoever simply by saying, "Oh yeah? But what if....?" I hope you see what I mean. So you have to break the emotional train of thinking. Question: How can one know for certain that any cherished belief is true? Is there a difference between belief (faith) and absolute certainty? -- Answer: I don't know for sure without asking further questions, but these questions that sound factual are typically emotional in nature. Certain personality types feel like they need total assurance before they can rest. When it comes to those beliefs that we desire the most, ironically, these are the very ones which, when we get close to them, we think that if we don't have 100% proof, then we cannot be sure of it. That usually indicates other than chiefly factual concerns. You can decide whether or not this pertains to your own questions. There are genuinely factual questions, too, but they are satisfied when there are decent answers, rather than continuing the "What if?" approach. Question: I am struggling to know if my own repentance is sincere since I often go right back and sin again. Am I being genuine? I feel like I may have moved too far from God's grace. -- Answer: Your question seems to include some volitional elements. If you are going back to the sin over and over, one might wonder if you are more committed to eternal life with the Lord or to the sin itself. Which do you want more? Sometimes we have to dictate strongly to both our emotions and our will. For example, you can ask yourself, "What I want to know is, am I committed to the Lord right now, today, this very minute, or not??" Almost all Christians go through tough times with their will. So we must be vigilant every minute. I'd be concerned, too, if I kept bouncing back & forth; this could be a crucial time for you. Here is a very crucial consideration: the New Testament has some very serious things to say about those who check out the Gospel, get close, & then walk away (Heb. 6:4-8). Likewise, there are very strong warnings against willful sinning (Heb. 3:12-13; 10:26-39). There are a number of interpretations of these passages, but the seriousness seems obvious. I'd encourage you strongly to walk the Lord's path. Question: Do you ever doubt that God exists? Why or why not? If you don't doubt, I imagine there is something beyond all of your studying & hard work on the Scriptures which clinches your belief. You don't have to answer if you don't want to but I'm interested to hear your perspective. -- Answer: Do I still doubt? I would have to say no, not really. Questions arise briefly from time to time, as I think they do with believers & unbelievers alike, but I don't go through the doubt process & have not for many, many years. I really praise God for that, too! How did it get "cured"? The relief came from several angles, but I think by far the key thing is that I realized that I was looking for an answer in the wrong place. While the study of evidences is important, especially since they solve some really major issues, I also observed that I needed more than the evidences alone. Since factual doubt that goes unsolved often progresses to emotional issues, we have to learn how to handle our feelings, too. If it reaches the more serious volitional ("I don't care") stage, it is sometimes very difficult to gain back the searching spirit that you have now. With volitional doubts, you might feel burned out & you may not want to keep thinking about religious subjects. In all of this, we need to carefully monitor what we tell ourselves since this is perhaps the single most crucial thing that often hurts the most. In other words, the interpretation that we place on things is worse & more painful than the reality itself. So we need to change what we are telling ourselves about the problem. When we repeat things like, "God probably doesn't even exist," followed by, "then life would be meaningless." Or if we say "God doesn't really care about me," these comments hit us very hard, both since we are denying our central desires and because these statements are so emotionally charged. Thinking we would never lie to ourselves, we might believe these thoughts. After we believe them, they may produce very painful consequences in our lives. So I had to begin listening to what I was telling myself. Then I had to go back to the evidence & proclaim the truth to myself in place of the untrue statements (as in Phil. 4:8). When we tell ourselves these truths, we also change. This time the doubt & pain begin to subside. Question: Why didn't Jesus just appear in the Twentieth Century? And if Christianity is true, why doesn't God perform more miracles, like maybe in the middle of an atheist meeting, or in public, so that more people will believe in him? Why doesn't he do it? Why doesn't God respond more? -- Answer: I think there are many reasons why Jesus doesn't appear in the Twentieth Century, or why there is not even more evidence than we already have. We find that God gives us plenty of evidence to believe, but not enough to force us to believe. In other words, the evidence is there for anyone who wants to check it out, but not enough to make it so obvious that God is virtually twisting arms. He wants those who want or desire to come to him. Still, there are many signs that God is at work today. I can't unpack this in a detailed email discussion, but here are some things I've said before: I think that there are many indications in the world today of supernatural activity, even if we just considered those that have been published in medical journals or in other trustworthy places. For example, there have been several major studies of answers to prayer, even a double- blind experiment where the conclusion as stated in the medical journal was that the results were most consistent with prayer offered in a Judeo-Christian setting. Further, there have been some rather incredible, documented reversals of terminal illnesses in the presence of prayer. A few of these cases were immediate reversals. For example, two patients had serious cancer diagnoses, one of which was a terminal liver cancer case with inoperable cancer throughout the person's body, who was given perhaps only weeks to live. Both were prayed for regularly, and afterwards their tumors showed absolutely no cancer cells, even though the same tumors were previously biopsied (even more than once) as clearly being cancerous. We're not talking about some crazy religious claims here, but cases that have been experienced in the medical community. Both of these persons are doing fine after almost two yearsboth without any cancer in their tumors. Many well-evidenced near-death experiences have been published in other medical journals, especially where the near-death individual reports something from some distance away that can be objectively verified or falsified. Some of these patients registered no heart or brain activity for very long periods of time. Please note again that I am basically only speaking of cases where there are rather incredible data--a fair number published in medical journals, for example. Something else to consider is that a clinical psychologist and I have done some careful surveying and many (if not most) examples of doubt and rejection of God arise for emotional rather than rational reasons. So often you have to ask what the persons were feeling rather that what they were thinking. Emotional uncertainty seems to be far more common than rational rejection. So you really need to know what happened in the person's life, if they are angry at God, and so on. This applies to both Christians and non-Christians alike; almost everyone seems to do it at some time. If you want to do some reading on this, I have a website being put up now where you might be able to research this topic. More items are due to be loaded soon (www.garyhabermas.com). If you look on the left side, under "Online Resources" and then under the next category, "Books," you can find the book Dealing with Doubt. If you are interested in this subject of doubt, I'd recommend Chapter 2 on "Identifying Doubt" and Chapter 4 on "Emotional Doubt." Question: I worked through a Bible Study that taught that emotions should not be given a major role in knowing God's will. Peace is an emotion, isn't it? Most preachers I have heard say that when you are in God's will there will be an indescribable peace. Which is correct? Also can you have fear and it disguise peace? Does that make sense? -- Answer: My short answer is that, in my opinion, peace is not an emotion. It is a calm, settled state of mind that comes from the choices we make, from our volition. Understanding the cognitive side of influencing our will and how we speak truth to ourselves goes a long way towards answering his question, I think. For popular resources, see William Backus and Marie Chapian, Why Do I Do What I Dont Want to Do? (Bethany House, 1984) and Backus Finding he Freedom of Self-Control (Bethany House, 1987). Question: I saw you on the John Ankerberg Show talking about the what if doubts. You said they usually indicate the presence of emotional doubts. What can a person do against these doubts? I also have these what if doubts. Since I'm an anxious person, I simply get these what if doubts, which always go hand in hand with fear. When you get a "what if there is no God" fear, logic seldom helps. Does this mean that my faith is inferior? Many Christians simply tell me stuff like "just don't doubt" but I think they cannot even relate to me. Others have told me that I'm not even born again when I get these doubts. -- Answer: That you tend to be an anxious person most likely says a lot about why you doubt. And people simply telling you not to doubt certainly doesn't work, either, just as you say! In most cases, as I explained on the programs, the best option is to change the things you are telling yourself, since they are most likely causing a lot of your issues. You're also right that it is not an issue of having more evidence, because as long as you can "What if" something, you will probably worry in spite of the evidence, no matter how good it is. Fear usually trumps reasons. In my opinion, no, this does not necessarily mean that someones faith is inferior or even non-existent. Doubt is not necessarily the opposite of faith. Virtually all Christians ask questions at some time. They may simply have different questions than you do. Your last paragraph is very insightful and is accurate on how doubt often works. So you deal with the worry, not with the evidence. Learn to tell yourself the truth about the evidences, your faith, and so on. Every time you begin to doubt, you must jump in and say very forcefully to yourself something like: "This is garbage and I'm not going here. It is a baseless objection, and is refuted by the evidence." Generally, the more often and forcefully you react in this or a similar manner, you at least get some control of the fear you seem to be causing yourself. Question: I have been to numerous sorts of churches, such as Baptist, Catholic, Lutheran, Methodist, Pentecostal, etc. With all these denominations, how do we know who teaches correct doctrine, especially about salvation? And I may have asked this, but what is salvation biblically? With all the confusion over denominations, who can say Joseph Smith didn't restore the true church? -- Answer: The key here is to concentrate on central maters that really make a difference. Orthodox Christianity, whatever church government or other form it takes, shares the center of Christianity, including the Deity, death, and resurrection of Jesus Christ--what we call the Gospel. The New Testament calls upon everyone to respond in faith to the Person about whom these doctrines are truethe biblical Jesus Christ. Jesus taught that what people do with him in light of these facts determines where they spend eternity. I think that Bible-believing churches usually separate over other things--geographical locations, how we worship, what type of church government we have, etc. But ask about the resurrection, for example, and all Bible-believing Christians come together at that point. Why is this so? Because, among other things, this is both what the Bible teaches as well as where the evidence is. So begin at the center of Christian theology and work out from there. Attend a church that is closest to the teaching that we find in the New Testament. In my view, the specifically Mormon scriptures are further away than most. I think your question is, again, a matter of where the evidence is found. If the evidence is with the Mormons, fine. But if not, why move in that direction? I think it is very clear that the Mormon case is highly problematic on the basis of the evidence alone. During my questioning days, I checked out the Mormon claims in some details, visited their facilities in Salt Lake City and reading their materials. Even though I was very open to it, I had to reject the possibility that Joseph Smith received revelation from God, strictly on the basis of their own claims and lack of evidence. Question: Every time I begin to think about religion, I think its a matter of my feelings alone. I sometimes think that thats all Christians havegood feelings. What do you say about that? -- Answer: The question of whether Christianity is simply a matter of emotions all depends on whether the most crucial beliefs--such as the Deity, death, and resurrection of Jesus--are linked to history, and therefore true. I maintain that there is such a firm historical basis for each of these that, even if I use only the facts that most liberal and even atheist scholars believe, I still have enough evidence to show that these doctrines are true! I can make suggestions on what to read or we can talk about this if you wish. Question: How does it feel to be saved? Is it simply the feeling of true happiness? Is it a feeling that you are happy without having to do things that you regret later or feel bad about? Or is it the feeling that the problems of life are so petty? -- Answer: Being saved and knowing it can be very peaceful. But peace isnt an emotion and our emotions can be very tricky. For example, they can change from moment to moment. So we absolutely need to base our salvation on facts that we can check up on, not just on good feelings or faith for faiths sake, etc. Faith does need to be exercised, but on a sure foundation. However, in the case of the New Testament, its not so much that we believe in the historical facts themselves, but in Jesus Christ, the One about whom these facts are true. In short, our faith goes in the Person of Jesus Christ rather than in the facts per se. Question: My question is whether or not it is possible that we may actually experience the true, living God today? I realize that God is a Spirit, and that the vast majority of our experiences of him are going to have to be described in "spiritual" terms. But what evidence is there that God is still alive and dealing with us today? I dont mean evidences from past history, and so on. How do we know that God is really interacting with us right now, regularly? -- Answer: My response would be that we have at least three levels or types of indicators that God interacts personally with us today. I move here from the general to the specific. 1) As you mentioned, there are the general indications that everyone has, like beauty, love, the haunting face, or memories. A very good but even more personal sign is provided by our own conscience. That God expects me to be obedient is more personal. Another is C.S. Lewis' joy argument, which is one of the very best. Lewis concept of joy, in particular, shows that God woos everyone, believers and unbelievers alike. 2) There are much more evidential cases which indicate that God works in individual lives. More explicitly, I am referring to well-evidenced reports from others, but which we may have never witnessed for ourselves. For example, a) incredible healings, b) non-healing answers to prayer like a double-blind experiment that has been published in a medical journal, c) experiences with angels, d) experiences with demons, e) incredibly well-evidenced near-death experiences (NDEs). On a more personal note, in some of these NDEs we may wonder about someone who reports that they stood next to Jesus and experienced the most fantastic love ever, and wanted to go back immediately instead of living the rest of their lives here on earth! f) In dozens of very interesting cases, God seems to have paved the way on the mission field by some very incredible means, before the Gospel came to particular people groups, and so on. Please note that I basically only collect cases that are accompanied by some rather impressive data. A fair amount of these items has been written up in medical journals, for example. 3), where we have experienced God personally, either in our own lives or in another person/situation with which we were involved. Initially, it might be argued that the more evidence I have for cases in category #2, the less numbers I specifically need here. (However, having several good ones here would still be nice!) Basically, this is because #3 is simply a personalization of #2. I have found that most of us simply forget, ignore, or dismiss cases from our own lives, sometimes because we judge ahead of time that they don't or cant happen, at least not to me. So we may ignore the only examples that we have!! For instance, my wife and I kept a prayer log for two years and we found that about 67% of our prayers were answered. Further, I kept a side category for what I termed "impossible prayer requests." These were the ones that I thought would never be answered. But a whopping 60% of these impossible requests were even answered! But to illustrate my thought above, if you asked me to name just a few of these, of all these dozens of answers to prayer, I can only remember one without consulting my list! But why is it that I will always remember two or three cases where I didn't get the answer I wanted for a far longer time than I will ever remember any number of answered prayers?!?! Just try it--it's crazy! Having said all this, I think many, if not most, Christians, especially those who have been saved for years and are active in following and serving God, probably have many examples in category #3. If we wrote them down we could presumably do a much better job remembering them. For example, how many a) non-healing answers to prayer could we list that we have ever been a part of? Because I am pretty critical, I don't think I have many to report, but I still have several that you would be hard-pressed to explain naturally. For example, one afternoon during my skeptical days I challenged God to knock down a particular tree behind my house, and it happened that very same night! And only that tree fell down! But do you know what? It made no difference to me regarding my doubts! b) Healings? We had a close family friend last year who was diagnosed with a very, very serious type of cancer. He was biopsied several times. We all prayed regularly for him and when he went for surgery, they cut out the tumor. But they could not find a single cancer cell!! A doctor told me that while strange things happen with cancer, biopsied tumors don't lose their cancer cells! This is especially the case when biopsies were done more than once. Then right after that we had another case that was actually far more evidential!! I'll be glad to tell you about it some day. From all we can tell, including multiple tests from an oncologist, a terminal cancer patient who probably had only a very few weeks (or just days) to live experienced a spontaneous remission! Then, what about non-miraculous convictions of Gods presence? Were you ever positive that c) God convicted you of a sin? d) Did God ever give you time out for something? Hebrews 12:7 says that this sort of heavenly chastening shows that you are Gods child!! e) Did you ever use a spiritual gift and have someone tell you that you ministered to them in a particular way? Every one of these is a love letter straight from God to you. How many indications does it take to show that God may be at work in your life today? I like what C. S. Lewis says in Mere Christianity--any time we prayed for something that happened, we shared in the answer. How about any of the other categories in #2? It seems to me that we have plenty of reasons to think that God is alive, doing well, and still touches lives today. Question: If God really cares for me, why does he allow bad things to happen in my life? -- Answer: It has been argued that the worst sort of suffering is emotional in nature. According to a very influential thesis, what we say to ourselves is the single most damaging, pain-causing contributor to our pain. So when someone says that "God doesn't care about me," or "He never answers my prayers," or "He should heal the kids whenever they get sick," they create a situation in their own mind where they often begin to believe these comments. 1) "But if God doesn't care about me, how about the time he specifically answered my prayer and....(fill in the answer)." 2) "How many times in the Bible did true believers go through real tough situations (like Joseph as a slave in Egypt, or Daniel `ruining' his entire life in captivity in Babylon, or Paul dealing with his physical `thorn in the flesh,' etc)? Didn't God still love each of them? How about the disciples, one by one, as they were martyred??" 3) Perhaps the best response to our suffering: "When Jesus, God's own Son, was on the Cross, did God spare him? Did God take him down? Even after Jesus asked if this death might bypass him, did his own Father prevent his death? Then should we expect something better than what Jesus received?" 4) Here's another very powerful response: "After losing his children and being very sick, Job realized that he already knew enough about God to trust him in those things that he didn't know. Don't I know more about God than Job did? For example, since Jesus was raised from the dead, and there's a heaven where all of us can be together, doesn't that prove that God should be trusted, even if we can't figure it all out?" Question: Is it not unfair that since it was only Adam and Eve who sinned, and not all of humanity throughout the ages, that God would condemn all sinners? Even more, Scripture seems to portray the impossibility of not sinning. Is this fair? -- Answer: If everything depended on Adam and Eve, this would be very difficult to understand. I conclude for this and other reasons that we also have free will. Why should we complain about Adam's sin when we have all made similar decisions? I share your view that salvation from this sin depends on what we do with Jesus. I want to be humble about this, and I fully realize that my view could be mistaken, but I personally don't take the Calvinistic options here. Question: Concerning hell, some have said that God's mercy would not allow for such a painful place of torture and retaliation, so perhaps hell may be a symbol for those who do not have a relationship with God and go to heaven, but may somehow survive but be left to experience personal misery and loneliness for eternity. For some, perhaps this is a type of Purgatory. If I'm even close to a correct description of this view, isnt this position fairly far removed from the biblical passages that speak of hell in a much more literal manner? So I question this somewhat spiritualized interpretation of these Bible verses and concepts. -- Answer: C. S. Lewis' fantasy book The Great Divorce seems to favor the metaphorical view that you mention. Christians differ as to how literally they take the Hell passages in Scripture, not because they think the Bible is unreliable at those points, but largely depending on whether they think the passages are using literal or metaphorical language. Those who take the latter position, like Lewis, think that Bible is trustworthy, but that it is meant to be taken in other than a literal way, perhaps as a sort of word-picture. I personally do not favor the "torture model," i.e. God roasting sinners over a pit. But I do think that the pain of hell is real and eternal. Remember that even God withdrawing his common grace alone from the world could lead to all sorts of suffering, as people are left to their own devices, not to mention the punishment itself. I think that hell will be far worse than some concept of Purgatory (which I reject anyway), or perhaps some (mildly?) corrective state. I also think that hell will be a bodily state, not just something that happens to our spirits alone, and that it will be eternal, without opportunity for retraction. So it is a very serious choice! But I do think it is a free choice. Unfortunately, many make choices that are not in their best interests. Beyond this, how we hammer out the specific aspects of hell, such as the presence of fire, will depend largely on whether or not we think those passages were meant to be taken in an objective, straightforward manner. Question: Throughout all of the quagmire, bloodshed, and corruption that we find in church history, how do we know that Jesus Christ's central teachings have been preserved? I ask specifically about salvation. What did the early Church Fathers teach about what salvation requires? I don't want any Roman Catholic bishop's or minister's opinions. What do the earliest known Christian writings affirm on this matter? Do you know what Polycarp, Ignatius or Clement say about salvation? -- Answer: I'd say that to begin, the easiest, as well as the most authoritative and direct route is to go straight to the New Testament and read for yourself the texts about the nature of the Gospel message. I'd say that you should read texts like Acts 1:38-39; 8:30-38; 10:39-43; Romans 1:1-4; 10:9; 1 Corinthians 15:1-8; Ephesians 2:8-9; 1 Peter 1:21; 1 John 5:13. Notice the range of authors here? That indicates the widespread amount of agreement on the central matter of salvation. Whenever the Gospel data are defined in the New Testament as the foundation of what someone must believe to be saved, these three doctrines always appear: the Deity, death, and resurrection of Jesus. Thus, Jesus Christ is the Son of God, he died for our sins, and he was raised bodily from the dead. As the verses above say over and over again, when someone decides to commit or surrender themselves to this particular Person of Jesus Christ (which is the New Testament Greek meaning of the main word for "believe" or "faith"), that constitutes salvation. In other words, saying "I do" to the truth of the biblical Jesus Christ results in salvation. For passages in the earliest Church Fathers (according to Lightfoot's chapter numbering), see Clement 7, 12, 24, 42; Ignatius, in Magnesians 11; Trallians 2, 9; Smyrnaeans 1-4; or Polycarp 1, 8. The closer we get to the center of theology, the more the vast majority of Christians agree on this. Usually, the most disagreement is reserved for the periphery items. Question: Does the witness of the Holy Spirit in the believer's life actually provide evidence that Christ is who he said he was, or is this wishful thinking? The historical evidence seems more concrete than the idea of the Holy Spirit living in me. -- Answer: We have said (see "General Apologetics") that while the witness of the Holy Spirit does build on the data, it is not evidence in and of itself. Thus, the witness is especially not something that can be generally cited with unbelievers. So the evidence shows that Christianity is true and the Holy Spirit's witness indicates who belongs to the faith. We can perhaps think of it this way: the facts show that there is a basis for a personal friendship with God. That Christians testify that they experience this witness is an additional indication that builds on the facts. Based on the promises and statements in Scripture, not only should experiencing the Holy Spirit's witness not be surprising, but it should be expected. Again, the evidence shows that the facts are true and that a relationship with the God of the universe is therefore possible, whereas the experience indicates that it is actual. Question: Regarding the Old Testament, did salvation belong to the Jew only, or was it possible for Gentiles to be saved as well? -- Answer: On the issue of salvation for non-Jews in the Old Testament, we can state some general principles. Of all the people on the earth, God chose Abraham to reveal himself in a special way and to bless him as the father of many nations. Although some became believers without being a part of God's chosen people (for examples: Abel, Seth, Enoch, Noah, Melchizedek, Jethro, and Rahab), salvation chiefly came in the context of the revelation of the true God for Israel, as God had decreed. Although God chose to reveal himself to Abraham and his descendants, salvation resulted from faith in God, as demonstrated by Jethro, Rahab, and others who were Gentiles. Further, we learn that there are many Old Testament references to "strangers" being allowed among the Jews. You can check a Concordance on this. If I'm not mistaken from memory, strangers were entitled to virtually all the benefits of Jews, including having their sins forgiven. And as I recall, there are several warnings against mistreating them. This changes significantly the picture of Gentiles in the OT, not to mention promises in Isaiah, etc, of God's Messiah extending salvation to the world. So it seems that salvation was obtainable to all who put their faith in the God of Abraham, Isaac, and Jacob. It has been argued that the Jew could and did look forward to the coming of the Messiah. However, it may be difficult to prove that OT Jews placed their trust in the work of the Messiah for salvation. The evidence for this seems a bit scanty. However, we do know from both the OT as well as the NT, such as the writings of Paul, that faith in God was indeed the means for obtaining salvation. Some have argued that this seems isolated and unfair. But when we remember such factors as the believers outside of the people of Israel, God's willing inclusion of strangers, God's chief revelation in Jesus Christ for our means of salvation, and the privilege that believers have to proclaim this message to others who do not possess this knowledge, we have a wonderful string of references to the grace of God! As Paul states, salvation went first to the Jew and then to the Gentile (Rom.1:16). Jesus Christ said that he was sent only to the lost sheep of the house of Israel. But after his resurrection Jesus commissioned his own apostles to take his message to the world, so that the Gospel could be given to all nations (Matt. 28:19-20; Lk. 24:45-49; Acts 1:8). Therefore, from the beginning, salvation was an option, clearly open to any number of both Jews as well as non-Jews, although God declared that salvation came through the Jews, his chosen people. Question: What scriptural references would you recommend concerning sanctification? -- Answer: Sanctification can come at salvation (1 Cor. 6:11; 2 Thes. 2:13; Heb. 10:10) but sanctification is also progressive (2 Cor. 7:1; 2 Pet. 3:18). It includes theological growth (Heb. 6:1-2) and moral growth (Gal. 5:16; 22-25). Two purposes are power for witness (Acts 2:4ff; 4:8, 31; 9:17-20) and for holy living (1 Jn. 2:27; Rom. 8:14, 16, 26). Yes, I think it is clear that sanctification often comes in steps and we should progress in our Christian lives. A really good text on our process and growth is 2 Peter 1:5-11. Notice the key words there. Js 3:17 shows some progress, too. Question: The concept of the Trinity is indeed confusing. How can God be three Persons but one Being? Also, does this imply that Christ is not equal to God the Father? -- Answer: The doctrine of the Trinity can be difficult and it is easy to walk a path other than the one decreed in Scripture. This is a crucial area of theology. Scripture reveals the truth that the Father, Son, and Holy Spirit are each called God. We are also told that they are one. To refute early church heresies, the early church fathers and apologists explained the Trinity as three Beings who are one in essence, having the same nature. Yet they remain separate Persons. Thus, three Beings all have the same nature. Further, there is no problem with three Beings who share the exact same nature but who are different in position. For example, my son and I have the same nature or essence, but he is obedient and obeys me (position). The latter has nothing to do with the former. Jesus said on several occasions that he was the obedient Son who did what his Father gave him to do (see Jn. 5:19, 30, 36). Question: Is morality due to social convention? What do you think about this? I cannot believe it. This might mean that we only have certain morals because of society and if there was no society then we also wouldn't have these morals. How does this fit together with our God-given conscience? -- Answer: No one doubts that morality, especially certain aspects, is in large part socially derived. We learn much of our behavior. But the question is where the moral law came from in the first place. You might want to read CS Lewis' Mere Christianity, where the first five chapters argue against the social convention and similar options and develops a strong moral argument for God's existence. Question: If God is all powerful, why did he send himself to die for our sins in such a gruesome manner? Why couldn't he just snap his fingers or something? -- Answer: There is more than one angle to this. Another of God's attributes is justice, so he is not able to whisk sin under the carpet as if it never happened. Sin is a very serious matter and so it requires God's justice. But additionally, Jesus was God and volunteered to pay the supreme price for our sins precisely by dying in that manner. That he did it willingly adds an entirely new dimension to the question. Question: Would it be accurate to say that non-Christians may understand cognitively what Christians are saying, even when presented with evidences, but that, apart from responding to the Holy Spirits work in convicting and illumining the mind, they still may not become believers? -- Answer: On the natural man and the Holy Spirits work, of course the unsaved person can hear and evaluate the believers arguments, understanding them in such a manner. Of course, they may not want to hear these things. But appealing to the Holy Spirit's witness wouldn't normally "register" with them, both because they have not had the experiences and because this may seem to be less than evidential. So I agree totally that, apart from the work of the Holy Spirit, no argument will ever bring a person to Christ. Still, I think that laying evidential or even experiential groundwork may still be very helpful, in that the Holy Spirit may use it later to convict the person. Question: Could you recommend some good, general books to read on Christian theology? -- Answer: Here are some books that I have really enjoyed, on both a theological as well as a practical level: J. I. Packer, Knowing God (Intervarsity); John Piper, Desiring God (Multnomah); Dietrich Bonhoeffer, The Cost of Discipleship (Macmillan); Peter Kreeft, Heaven: The Heart's Deepest Longing (Harper and Row, revised edition by Ignatius Press); J.P. Moreland, Loving God with all of Your Mind (NavPress); Dallas Willard, The Spirit of the Disciplines (Harper Collins). Question: I was taught that the Great White Throne Judgment comes at the end of the 1000 year reign of Christ. However, it says in Hebrews 9:27 that after death comes judgment, and in the story of the rich man and Lazarus, the man is immediately in hell, tormented by flames. Now, since no one gets dumped into the lake of fire until the end, how can someone be judged immediately at death? Wouldn't they have to wait until the Great White Throne judgment? So was the rich man in the lake of fire, or Hades, that holding place that the unrighteous dead go to await their being thrown into the lake of fire? -- Answer: At death, I think Scripture teaches that there is an initial separation judgment, even though that isn't the final indictment. Maybe it helps to think of an imperfect analogy: if a crime is committed, a person may be charged and held for a while until their court case, and then longer still until their sentencing. At death, the charges come and at Judgment, the final sentencing is given. That should help on Luke 16, too, which would then be at the stage of being charged, before final sentencing. Yet, we do know that, because God doesn't make mistakes like a human prosecutor may, there is no question about the person's final judgment and what is going to happen. But also remember that Luke 16 is very difficult because it is very possibly a parable, so it is difficult to be overly precise there. Question: What is biblical salvation? I know it's not just some little sinner's prayer. But, so many different churches have different opinions on what it means to become a Christian. What, then, is biblical salvation? What is essential for salvation? 4) not only believes these doctrines, but the word "faith" means to commit or surrender to something or someone. So to come to Jesus, we need to commit ourselves to him, about whom these facts are true, trusting him to forgive our sins and take us to heaven. That's why I often describe this as saying "I do" to Jesus in faith, because we surrender/commit our lives to him. The result of salvation is a total commitment to God, through Jesus Christ. Our commitment to others is also affected. So, in my analogy, those who say "I do" to Jesus in commitment are saved and experience eternal life. The change begins immediately. (In case you want to check out some of these biblical references, see Romans 10:9; 1 Corinthians 15:3-4; Acts 13:26-39; John 3:15-16; etc. On the commitment that follows from salvation, see Luke 10:25-37; Galatians 6:7-10; 1 John 3:17.) The vast majority of evangelical Christians believe and agree that this is the plan of salvation, apart from anything else. Also, it is interesting that as we get to this center, the evidence for Christianity is absolutely at its strongest! Question: I have been listening to arguments both ways concerning the deity of Jesus. Even some "Christians" don't believe that Jesus was God incarnate. So let's be honest, what is the evidence? How does his rising from the dead count as evidence of divinity? Also, what about verses that seem to indicate that Jesus wasn't God? Like when Jesus said, "I ascend to my God and your God" or "My God, my God why have you forsaken me?" -- Answer: Basically, the argument is that Jesus claimed to be Deity and then he was raised from the dead. Of all the people in the world, including founders of world religions, why would God have raised Jesus, and only Jesus, if he was a false prophet? Since Muslims, Jews, and Christians all believe that God is very, very careful about heresy, especially regarding his nature, you'll have to tell me why I shouldn't believe what Jesus says about himself in light of God raising him from the dead? As far as the verses like those you mention, Jesus always said that he could only obey his Father. Classic Christian orthodoxy has always taught that while Jesus shared the same nature/Deity as the Father, he was also obedient, meaning that Father and Son have different positions in the Godhead. For example, there is no problem with two Beings who share the exact same nature but are different in position. For example, my son and I have the same nature (or essence), but he is obedient and obeys me (position). The latter has nothing to do with the former. Jesus said on several occasions that he was the obedient Son who did what his Father gave him to do. Question: As Jesus used the title "Son of Man" is this just a common indication of humanity, or is it more? Is there any way it can indicate a claim to Deity? -- Answer: I think it is plain that the Son of Man is a title of divinity or even Deity. For example, in Mk 2:1-12, Jesus stated that the Son of Man can forgive sins & his listeners cried "blasphemy." But then we are told that Jesus healed the man in order to show that he could, indeed, forgive sins. In Mark 14:61-64, Jesus answered "I am" to the High Priest's question of whether he was the Messiah, the Son of God. Then Jesus stated that he would share God's throne. The High Priest responded by tearing his clothes and declared that this was blasphemy. So does the NT think of the Son of Man as Deity? I think it's clear. Look at Acts 7:56 where Jesus appears standing on God's right hand. And in John, this title is connected with John's very high Christology. Question: Are the "Son of Man" sayings peppered throughout the Synoptic Gospel tradition more highly evidential than the "I Am" sayings of John's Gospel because the Synoptics date earlier? -- Answer: Personally, I'd use the "Son of Man" or "Son of God" sayings in Mark over the "I am" sayings in John. The former are earlier, as you mention, but the main reason is my using the "minimal facts" argument and critics are much more accepting of the former over the latter. Remember, we're discussing methodology here. Question: Why didn't Jesus simply appear in the Twentieth Century? And if Christianity is true, why doesn't God perform more miracles, like maybe in the middle of an atheist meeting, or in public, so that more people will believe in him? Why doesn't he do it? Why doesn't God respond more? -- Answer: See "Religious Doubt" category. Question: What advice would you give when debating Jehovahs Witnesses concerning the deity of Christ? Question: Could you recommend a few good books on the Deity of Christ, ones that study the relevant New Testament texts? -- Answer: For a more general book, see I. Howard Marshall, The Origins of New Testament Christology (InterVarsity) or David Wells, The Person of Christ (Crossway Books; reprinted by Bible Scholar Books, 1395 Westwood Ave, Alliance, Ohio, 44601). Although I don't own a copy, another very good book that might really provide a lot of help is Murray Harris' book on the Deity of Christ, by Zondervan. Another strong treatment is Ben Witherington's The Christology of Jesus (Fortress). Darrell Bock's Blasphemy and Exaltation in Judaism (Baker) is excellent on Mark 14:61-64, which may be the most important New Testament text. Question: Are the Gospels historical narratives? -- Answer: Perhaps the predominant view today in New Testament studies is that the Gospels are basically Roman biographies. Scholars think, at the very least, that the Gospels are good enough sources that we may answer the key questions about Jesus' life. Question: How do we know the disciples didn't get real sloppy with their accounts, thereby preserving little or nothing of what Jesus said and meant? -- Answer: We can test what they reported against the all the data we have on Jesus in order to see whether it correctly reports a consistent picture of what Jesus was saying. This test or "criterion" is called coherence, whereby it is asked how does this particular teaching compare with other things Jesus said about this topic? Or overall, does this fit our image of Jesus? On factual issues like the death and resurrection of Jesus, we can also compare the Gospel teachings to the early creedal reports in the epistles, such as 1 Corinthians 15:3ff. Actually, this is so crucial today that most scholars go first to these very early creeds in the epistles and Acts even before they even look at the Gospels. So we want to know the best explanation for the sources we have and we have enough data to do this. For a book that answers this question from several perspectives, see Paul Barnett, Jesus and the Logic of History (Eerdmans). Question: Would God have allowed only the most crucial teachings to be preserved? I mean, would the Holy Spirit also allow lesser teachings to be preserved? -- Answer: Remember that if the resurrection occurred, Jesus is now in the best position to know that Scripture is inspired. Jesus taught that it was inspired. Perhaps the key is that what is recorded is truthful. Now look at Jesus' teachings. We have both central, major doctrines as well as many smaller issues, like comments on life in general, worry, paying taxes, and so on. Question: Is the New Testament (particularly the Gospels) part of the "inspired Word of God" that Christians should look to as God's final authority on all things? -- Answer: Yes, the Bible is inspired in the sense that what the Holy Spirit gave us what God wanted us to have. It is written by those who were in a position to know the nature of the earliest teachings of Jesus, as well as practices in the early church. Question: What are some of the works that you would recommend for showing that Jesus existed in history, and that the New Testament wasn't just a bunch of forgeries written over a century after the disciples and apostles? A friend of mine is always asking me about several books from pretty radical places that denies these sorts of things. Question: On many websites that go after Christianity, it is often said that Christianity is based on other older religions and there are many parallels. Could you make a comment? Could you also recommend some good general books that counter these claims about the Gospels and the rest of the New Testament? -- Answer: There are many technical works that explode the thesis that Christianity borrowed its central teachings from other ancient religions. Actually, this is not even a very popular view among critical scholars. For example, in spite of many comments to the contrary from popular (i.e., non-specialist) critics of Christianity, pre-Christian religious sources do not teach a crucified Savior who rose from the dead, appeared to his followers, and taught them to go into the world preaching and teaching a similar Gospel. Anderson, JND. Christianity and World Religions: The Challenge of Pluralism (InterVarsity Press, 1984). Nash, Ronald. Christianity and the Hellenistic World (Zondervan Publishing House/Probe Ministries, 1984). Habermas, Gary. The Historical Jesus: Ancient Evidence for the Life of Christ (College Press, 1996). Question: Is there solid evidence that the Gospels were written fairly closely to the life of Jesus? I was reading a writing by someone who admitted that, while he was not a New Testament scholar, the Gospel of Mark should still be placed at about 90AD. Wasn't there a fragment from John's Gospel that is not a whole lot later than this? Who are some of the scholars who agree with you? Please comment. -- Answer: Most scholars (even critics) place Mark at about 40 years after Jesus (or about 65-75 AD). They often date Matthew and Luke at about 50-55 years after Jesus (about 80 -85 AD). John is usually dated about 95AD. Virtually nobody places Mark at 90 AD. You'd have to look very hard to find even a few respected scholars who do this. To my knowledge, no one questions that the fragment from John that you mention. It is dated perhaps 125AD and is very valuable, since it only dates about 30-35 years after the Gospel was written. Craig Blomberg presents material with which the majority of NT critics agree. If you read other texts like those by Ben Witherington, NT Wright, R. Brown, John Drane, etc., I think you'll read the same or similar things. So the Gospels are written close enough to Jesus' time to be very valuable sources regarding his life. Question: What archeological evidence is there for the Bible being historically true? Please recommend a good article that presents a good overview of this issue. Thanks. -- Answer: I'd recommend a recent article written by ancient historian Paul Maier, professor of ancient history at Western Michigan University. It is: "Archaeology--Biblical Ally or Adversary?" in the Christian Research Journal, Vol 27 (2004), pp. 12-21. Maier summarizes the current discussion. Question: Have you written anything concerning the reliability of the New Testament? -- Answer: I published a recent article, called "Recent Perspectives on the Reliability of the Gospels," and it was published by the Christian Research Journal Vol. 28, 2005. You could try calling (949) 858-6100 to ask about a copy. Question: If you don't mind, how early is the Gospel of John known in the church? Could you give me a few examples? How about the earlier Gospels? -- Answer: Obviously, for any historical work, the earlier the evidence, the better, since it is therefore closer to the original. Scholars think that they may be able to find allusions to John as early as Christian writings from 97 to 110 AD, namely Clement, Ignatius, and Polycarp. This is incredible, because the Gospel of John was probably only written about 95 AD. Further, Papias, writing about 125 AD, is said to have known John, hearing him speak. A small copy of papyrus with just a few verses from John, known as the Rylands Papyri, dates from about 125 AD. Needless to say, even though there is very little text, this is exceptionally early attestation to this Gospel writing. Plus, various sayings of Jesus in the first three (Synoptic) Gospels are definitely preserved in these very early writers--Clement (ca 97 AD), Ignatius (ca 107 AD), & Polycarp (ca 110 AD). This is exceptionally early evidence when we are discussing ancient history. Question: Concerning Scripture, what sort of books do you recommend concerning general overviews of reliability, inspiration, and books that deal with "problem passages"? Inspiration: Robert Lightner, The Saviour & the Scriptures (Presbyterian & Reformed, 1966). Overall reliability: Craig Blomberg, The Historical Reliability of the Gospels (InterVarsity, 1987); Paul Barnett, Is the New Testament Reliable? (InterVarsity, 1986). Problem passages: Norman Geisler & Thomas Howe, When Critics Ask: A Popular Handbook of Bible Difficulties (Victor, 1992); Gleason Archer, Encyclopedia of Bible Difficulties (Zondervan, 1982). Question: Who finished the Pentateuch? After Moses died someone had to complete the writing. But Moses is the author because he wrote most of it. Right? -- Answer: Sure, someone finished the book of Deuteronomy. Why should that be a problem? In Scripture, writers often speak for their teachers. The Gospels report Jesus' words after his death. According to the early second century writer Papias, the second Gospel is Mark's record of Peter's teachings. Another example is Luke writing from his unique relationship with Paul. Before that, Luke himself tells us that he was writing about the accounts passed down by the original eyewitnesses (Lk. 1:1-4). Even the traditional view of inspiration allows for the students of the prophets and apostles to speak on their teachers' behalf. Question: You have said that the best way to argue for the inspiration of Scripture is to build on Jesus' teachings. Briefly, what would that look like? Where can I find one of your treatments of this subject? -- Answer: I address this subject in: "Jesus and the Inspiration of Scripture" Areopagus Journal, Vol. 2 (January, 2002), pp. 11-16. See also the last question in the next section on the Canon. Question: I have heard that the Bible measures up very well in historical accuracy when compared with other documents from a similar time period. Could you please give me some examples of this? -- Answer: What is usually meant is that the New Testament has far more manuscript evidence from a far earlier period than other classical works. There are just under 6000 NT manuscripts, with copies of most of the NT dating from just 100 years or so after its writing. Classical sources almost always have less than 20 copies each and usually date from 700-1400 years after the composition of the work. In this regard, the classics are not as well attested. While this doesn't guarantee truthfulness, it means that it is much easier to reconstruct the New Testament text. Regarding genre, the Gospels are usually taken today to be examples of Roman biographies. Question: Do you really believe all the Old Testament stories really happened? Or do you think that these tales were told just to teach morality? -- Answer: I accept the historicity of the biblical stories when they are meant to be taken literally. For example, Jesus' parables are not meant to be taken in that manner. Poetical texts regularly use all sorts of literary devices. Good scholarship attempts to sort it all out. But this doesn't mean that historical texts cannot have a moral, too. Id say that most of the biblical texts present moral or didactic themes, whether or not they are meant to be taken literally. Question: What texts support the notion that Paul met at a very early date with the other key apostles, in order to verify his Gospel message? -- Answer: Paul made at least two trips to Jerusalem to check out the Gospel, as reported in Galatians 1:18-20 and 2:1-10. The first time, he met with Peter and James, the brother of Jesus. On the second occasion, Peter, James, and john were all present. Depending on what we do with Acts 15 (some say it is the same trip as Galatians 2, while others disagree), Paul may have made at least three trips to Jerusalem to confirm his preaching of the Gospel. And as he says in Galatians 1:20, he was not lying about this. Question: What general overviews might one use in understanding the canonization process of the New Testament? F. F. Bruce, The Canon of Scripture (InterVarsity, 1988). Geisler, Norm & William Nix, Introduction to the Bible (Moody, 1968). Harris, R. Laird, Inspiration & Canonicity of the Bible (Zondervan, 1957). Question: What about the Apocrypha? Are these texts part of Scripture? Why do so many disagree on what exactly whether these books should be included? Are any Apocryphal books included in the New Testament? -- Answer: Formally speaking, those who accept the apocryphal books place them in the Old Testament. There are about 12-14 separate writings, depending on how you count them. A couple of them are no more than an extra chapter in an existing OT book. All three major branches of the church accept the same New Testament canon. As to whether the apocryphal books should be considered as Scripture, in my opinion there are a number of serious problems with accepting these books. For example, they are not very well attested in either ancient Judaism (ignored by both Philo and Josephus, and are never quoted by Jesus in the Gospels), or in the early church (where they seldom pop up until the Fourth Century AD). Further, they were not formerly accepted by church councils until the Sixteenth Century AD. Regardless, they date from the intertestamental period of the OT and have nothing to do with Christianity. So they present no problem for the Christian Gospel. Question: In both the Old and New Testaments, writers sometimes refer to non- canonical, extra-biblical literature. Can you help clear this up for me? -- Answer: Biblical authors frequently quote others. For example, in the New Testament, Paul cites or quotes Greek writers more than once. But quoting someone doesn't mean that the work was thought to be inspired. Obviously, Paul didn't think that these Greek writers were inspired. Not only does Paul never make comments that allow us to move in that direction, but he states that God entrusted his words to the Jews (Rom. 3:1-2). So it seems clear that Paul was citing these sources, meaning either that they were accurate comments, or that he was agreeing with the perspective presented there. This appears to be clear from Luke's account of Paul's teaching before the Greeks in Acts 17:28-29. Question: What possible path is there from Jesus to the biblical text that we possess? -- Answer: Some texts explain that the chief standard for Old Testament books was whether a particular book was written by a prophet, in the broad sense of that term. For the New Testament, the books needed to be authoritative. Since the NT books are about Jesus, was the book written by someone who was close enough to the events to provide a true account? In the NT, we see comments like this regularly. For examples, see Lk. 1:1-4; Jn. 1:14; 19:35; 21:24; Acts 1:1-3; the so-called "we" passages in Acts, 1 Cor. 14:37 and 1 Jn. 1:1-3. Of course, anyone can (and sometimes did) claim that their accounts were true when they were far from the events or apostolic teachings. So we have to check the data and see if it meets critical criteria. You might say that each book should "pass muster." I think the best way to approach this topic is to ask what Jesus thought about it. If Jesus was raised from the dead (see the questions below), it makes sense that he would speak authoritatively on this and other subjects. Jesus clearly accepted the Old Testament as the inspired Word of God. For instances, see comments attributed to him such as texts like Mk. 12:36; Matt. 5:18; Lk. 16:17; 24:44-47. While someone could question which of these precise comments were actually said by Jesus, even critical scholars regularly recognize that Jesus accepted the inspiration of the Old Testament. There is no good reason to question this, especially since it was such a prominent belief in his time and because we have such a wide variety of texts that claim that this was what he taught. Further, we are told that Jesus repeatedly taught his disciples that they were/would be his spokespersons (like Matt. 10:14-15, 40-41; Lk. 24:48). John even claims that Jesus said that his disciples would be inspired (Jn. 14:26; 15:26; 16:13). So it is not a far stretch to see the seeds of New Testament writing here, carried further in texts such as 1 Cor. 2:13, 14:37, as writers thought they received their authority from Jesus. So we are back to the early believers making decisions regarding the New Testament books based on criteria like these. In the New Testament there is not much official discussion, since the major branches of the church all agree on the same 27 books. The differences come from the Apocryphal books at the end of the Old Testament. So the 39 unanimously-accepted Old Testament books, plus all 27 New Testament books, would come down with approval. Question: Is it not true that we don't even know in what century Jesus lived? How come we only have a lot of references in the New Testament and no where else from that general time? -- Answer: You will have to work pretty hard to find scholars who argue the thesis that Jesus never lived. Even most "liberals" dismiss these views as baseless. It has been refuted time and time again. Why? Because there are first century references to Jesus, several of which critical scholars date to within months to a couple of years after Jesus' death. I'm speaking here chiefly of the early creeds in the New Testament, like 1 Corinthians 15:3ff. Besides all of the New Testament writings, we have a few extra-biblical writings that date from the mid-first century to about 110 AD. Altogether, there are even about a dozen and a half non-Christian sources that mention Jesus within the first 150 years after his death. For all these sources plus a critique of views like those who question or deny Jesus' historical existence, see my book The Historical Jesus (College Press, 1996). Question: Is it true that Josephus' statements about Jesus are in fact not his and were added later in history by those seeking to prove that Jesus was a historical figure? -- Answer: The vast majority of scholars who address this issue think that although Josephus' longer statement about Jesus in Antiquities 18:3 has been altered a bit, the bulk of it was written by Josephus. This view means that Josephus supplies some very important material about Jesus. An even larger percentage of scholars accepts Josephus' second statement concerning Jesus being the brother of James (Antiquities 20:9). Further, we have to make sense of ancient non-Christian historians like Thallus, Tacitus, Suetonius, and Lucian, who reported all sorts of facts about Jesus. In The Historical Jesus, pages 243-250, I provide a long list of well over 100 items that are reported about Jesus, many by non- Christians. So, to argue that Jesus never existed totally ignores a large body of historical data. That's why, of over a thousands recent publications on the subject of the historical Jesus, I am aware of less than five who doubt or question his existence. Question: You mention that the Talmud mentions Jesus' crucifixion. Yet I have heard Jews say Jesus is not mentioned in the Talmud. Please help me out here. I see the translation Yeshu, but how do we know it's referring to Jesus? Are there any other passages of the Talmud that may refer to Jesus? Also, the quotes about crucifixion in your co-authored book The Case for the Resurrection of Jesus include Josephus and Tacitus. Are these quotations debated at all? Or do scholars agree that they are authentic rather than Christian additions? And what about nails being used in crucifixion, versus tying a person to the cross? -- Answer: These questions about the Talmud are legitimate because Jesus is probably referred to in other texts, but by other names. The clearest is probably Sanhedrin 43a and I think that most scholars believe that it is a reference to Jesus ("Yeshu"), pertaining to his crucifixion. Check it out and see what you think. I don't think there are any questions about Tacitus' reference. Josephus' long passage is usually said to have been adjusted by a Christian, but the majority of scholars think that the main part of the passage is from Josephus, including the comment that Pilate had Jesus crucified. More generally, the vast majority of ancient texts say that nails were used in crucifixion rather than ropes. I believe Mike Licona and I address that in our book. Other ancient non-Christian writers like Lucian also mention Jesus' death. Along with the New Testament records, that's why even Jesus Seminar scholars John Dominic Crossan and Marcus Borg say that Jesus' death by crucifixion is a solid historical fact. Question: I understand that the majority of scholars regard most of Josephus' long comment on Jesus to be genuine. Why is this the case? How do scholars know that the entire citation was not a forgery? -- Answer: I think that you are correct that very few scholars (including even the many non-Christians who comment on these texts) think that Josephus' two comments on Jesus are forgeries. That response sounds to me like an easy way to avoid the historical references to Jesus. Most scholars take this view because the long passage in Antiquities 18:3 is written in Josephus' style. Further, it has excellent manuscript evidence. Lastly, it is also found in an Arabic translation of Josephus' work, in a version that some scholars favor as being closer to the original ending. Question: Why do you suppose Josephus does not discuss Jesus in even more detail? Assuming from his two passages that he was in fact aware of Jesus and the corresponding movement, isn't it a bit odd that he includes no other discussion on Christianity? There is plenty about John the Baptist, Pilate, Caiaphas, etc., but very little about Jesus. -- Answer: I don't suppose anyone knows exactly why Josephus doesn't say more about Jesus than he does, or why, more generally, any writer doesn't say more about someone, especially in ancient times. One possibility could be that Josephus catered to his Roman patrons, and of course, they crucified Jesus. For instance, neither Tacitus, nor Suetonius, nor Pliny the Younger speak well of Christianity. All of them, by the way, along with Josephus, clearly place Jesus in the traditional time slot. But given this general reluctance not to laud Jesus (Pliny states that early Christians sang hymns to Jesus as to a god and even says that he killed Christians who failed to worship the gods), it's not terribly surprising that Josephus doesn't say more. Question: I once read a book that tried to argue that much of Jesus' life, including his miracles, death, and resurrection were all based on similar stories among the religions of the Egyptians, Greeks and Romans. Where do you address these ideas in your volume The Historical Jesus? -- Answer: Since you have my Historical Jesus, please check out the critique on pp. 33 -35 and 92-98. Especially on p. 34, I argue that since we have no recorded pagan resurrections before the second century AD, Christianity could hardly have gotten it's central belief from these religions. It's even possible that later versions of these religions may actually have copied from Christianity here! Likewise, there are no crucified saviors, contrary to what you may have heard. Lastly, there are no founders of major world religions besides Jesus who have miracles recorded of them within a generation. So where are the grounds for careful comparison here? Question: I read a comparison of Krishna's life to Jesus' and the source said that the two parallel each other very carefully. The person argued that views about Krishna were virtually identical to the Christian portrayal of Jesus. Do these parallels really exist? -- Answer: First of all, scholars cannot tell whether or not Krishna lived. He very well may not have been a historical character at all! Even if he did, scholars realize that they could be mistaken by as much as centuries. Why? Because unlike the situation with the New Testament, the sources that record Krishna's life date from hundreds to perhaps even thousands of years after he may have lived. Many argue that the parallels you mention actually postdate the early Christian reports, so they are hardly surprising. You don't take my word for this last point. Check out Benjamin Walker's The Hindu World: An Encyclopedic Survey of Hinduism, Vol. 1, pp. 240-241. Question: Do you know if the Gnostic texts found at Nag Hammadi have multiple copies? For example, are there multiple copies of the Gospels of Philip or of Mary Magdalene, etc., or is there simply one copy of each? -- Answer: A few of the Nag Hammadi texts have duplicated portions. We also have some Gnostic fragments from outside of the Nag Hammadi collection, such as some Greek fragments of the Gospel of Thomas. Question: Doesnt the Gospel of Judas reveal that Christianity was indeed diverse in its beliefs in the early centuries of the Church? -- Answer: I appreciate critical scholars' testimony that The Gospel of Judas tells us nothing about either the historical Jesus or Judas. But its still not fair to give the impression that earliest Christianity was diverse in its main beliefs. This only works if you stretch "earliest Christianity" to the Gnostic writings in the middle of the Second Century AD, well over a century after Jesus lived. But this just will not work in historical terms. The second century may be early if your reference point is centuries later. But it is not early if your reference point is Jesus. Then critical scholars sometimes act as if the Gospels, dated from 70-95 AD, are too late to count!! The recent emphasis on the diversity of early Christian beliefs is a hypothesis in need or evidence. Question: How do you know that the entire life of Jesus Christ was not orchestrated by humans to either establish a new religion because the old ones were starting to die, or to fix the corruption in the already existing church? -- Answer: The short answer is because we have historical testimony that can be checked out the very same way that we can check out any historical testimony from the past. Plus, we have about 18 non-Christian sources for Jesus outside the New Testament that tell us a lot about him, too. Still, even critical scholars think that our best material is extracted from the New Testament. And remember, the fact that the early disciples were willing to die for their faith (see details below, under the Evidence for the Resurrection) shows that they were at least sincere about their faith, which is a huge problem to overcome for this view, and the chief reason why critical scholars almost never take this position. Question: I've been debating with a friend the issue of whether or not we have any historical verification of particular biblical stories of miracles. Do we have any data for the Gospel miracles excluding the resurrection? -- Answer: If any of Jesus' miracles are confirmed, that is significant for the discussion. Two recent researchers, both leading scholars in the historical Jesus discussion, have written almost 500 pages each on Jesus' miracles. If my memory serves me correctly, John Meier found that in almost half of the miracle accounts recorded in the New Testament, we have enough data to conclude that something like that particular historical scene occurred. (For details, see Vol. 2 of Meier's set A Marginal Jew.) The second, Graham Twelftree, concluded that about three-quarters of the Gospel miracle accounts were confirmable, again, at least that historical details in the accounts could be verified. (For details, see Twelftree's volume, Jesus the Miracle Worker.) They did not say that all these accounts were verifiable miracles, but that these particular miracle scenes have verifiable historical checks and balances, according to the normal standards applied in recent historical Jesus research. Admittedly, that's still rather outstanding, as well as surprising. Traditionally, many have said that if the resurrection occurred, then lesser miracles are more easily confirmed. But in light of this research, now we have specific historical considerations in favor of the miracle account themselves. Question: I have some questions concerning answering a priori objections to miracles based on the "laws of nature." (a) In the way that the "laws of nature" are understood by Hume, Flew, etc., we say that they rely on the Deductive-Nomological (D-N) approach to explain the perceived patterns of nature. Correct? (b) On the other hand, Swinburne (in The Existence of God) articulates a different approach, Substances-Powers-Liabilities (S-P-L), to explain the perceived patterns of nature in order to better incorporate personal agency and intention (specifically God's miraculous/divine intervention) into the actions we observe. (c) Would you agree with Swinburne's approach over Hume's? -- Answer: The Deductive-Nomological approach to the laws of nature (and the ensuing discussion of "covering laws") was made famous by Carl Hempel and Karl Popper almost a half century ago. It was rejected by many philosophers. I don't think I've read Tony Flew on this, but I wouldn't be surprised if he and Hume agreed with the D-N approach. I've heard Tony say that he doesn't agree with Swinburne and others speaking of nature's laws as statistical descriptions of what usually occurs. What I've read by Swinburne on this subject comes chiefly from two of his books on miracles from 1970 (The Concept of Miracle) & 1989 (Miracles, edited). From some very recent things that I've heard, I'm not sure, but Swinburne may have changed a bit. But I agree fairly closely with his earlier treatments over against Hume and Flew. Question: What is the nature of death by crucifixion? How does the victim die? Does medical science help us here? -- Answer: See the lengthy response to the apparent death theory in the next section below. Question: Are there any sources aside from Scripture that verify the event of darkness that occurred during the crucifixion of Christ? Question: A recent television program stated that Jesus would not have died from breathing difficulties, but from loss of blood. They also said that Jesus was not whipped severely, but was merely whipped lightly. They said that his feet were not laid one over another and then had a nail driven through, but that he most likely had one foot on each side of the cross, and then nails were driven through his ankles, nailing them to the cross. Now, this seems to contradict most of what was said in The Case for Christ. The description of the crucifixion and flogging are very different. Which is correct? So what's the deal? -- Answer: I am aware of no scholars who think that Jesus died from loss of blood. To say that Jesus only had a light whipping would not explain why he apparently needed help carrying his cross (or portion of the cross). Further, there is no ancient source that says that Jesus only had had a light whipping, while there are several important accounts in the ancient world of very serious whippings. No one knows exactly how Jesus' feet were nailed. If the shroud of Turin is accurate, one foot was probably crossed over the other. But it's impossible to tell for sure. Question: I have heard that Jesus did not have to be nailed through his wrists because the palms could have supported his weight. Is this correct? -- Answer: I have read dozens of medical comments, articles, etc on crucifixion and I have only heard one physician say this. And even his view is not the standard "palm" position. Everyone else I have read agrees that the palms will not work. Question: Could you remind me about the argument for the "sucking chest" in relation to Jesus' death? -- Answer: If Jesus had been pierced through the chest, besides the heart problem, the soldiers and others nearby would have heard a distinct sucking sound coming from the chest wound. This would have indicated, of course, that he was not yet dead and they would have had to finish him off. It's a pretty common wound in wartime or street violence and has to be treated immediately or else the victim dies. So they could simply have walked away, as well. The result would have been the same. Question: Matthew mentions that some saints came out of their graves when Christ died and appeared to many people in the city of Jerusalem. Surely, this would have been reported by historians or even in the other Gospels. Am I right? -- Answer: You raise a good question. Actually, many rather incredible ancient events are not recorded by local historians, while at least Matthew mentions this episode. For those who agreed with Paul that Jesus was the first to rise from the dead in a new body (1 Cor. 15:20), these people were apparently raised in normal bodies, like Lazarus. So they would have looked like normal, everyday people. Perhaps only their friends and loved ones would know for sure that something was going on. On the other hand, the local historians could just say that, You guys just made this all upthey arent resurrected! And remember that Matthew says that the persons who were raised went into the city after Jesus resurrection (27:53). Since Jesus had risen before this, his resurrection would be the really big news, both because of who he was, regarding both his previous, public ministry, his crucifixion, etc, as well as being raised in a new body. So you could say that Matthews story was drowned out by a bigger story, like a story that got tucked on the back page of the newspaper because something even bigger had captured the publics attention. Lastly, the question of these raised people, regardless of what happened, does nothing to contradict or otherwise oppose the resurrection accounts. Question: Are not most of the New Testament reports concerning the death of Jesus taken from later sources, therefore minimizing the fact that Jesus actually died at the hands of Pontius Pilate? -- Answer: Here is a list of early creedal texts that mention the death of Jesus along with a few details: These texts include Luke 24:34; 1 Cor 11:26; Rom 4:25; Phil 2:8; 1 Tim 2:6; 1 Pet 3:18, along with the Acts sermon summaries (2:22-36; 3:13-16; 4:8-10; 5:29-32; 10:39-43; 13:28-31; 17:1-3, 30-31 in particular). All of these texts are early. Critics place especially 1 Cor 11:26, 1 Cor 15:3-4, and the Acts passages in the 30s AD. Question: In one of your recorded lectures on evidence for the resurrection, you mention an American doctor who conducted crucifixion experiments in the 1950s. Can you give me the name of the doctor or refer me to a publication of his experiment? -- Answer: Here's some information that may be helpful regarding your crucifixion question. Two sources that I know of are Dr. Frederick Zugibe, The Cross and the Shroud: A Medical Examiner Investigates the Crucifixion (Cresskill, NJ: McDonagh & Co., 1981), with photos on pp. 102-107, and Dr. Hermann Moedder's research, as reported in David Wilcox's book Shroud (NY: Macmillan, 1977), especially pp. 23-25, 161. (A photo of Moedder's work appears on p. 25.) Both Zugibe and Moedder differ on the final cause of death in a crucifixion victim, but have some major similarities. Question: What approaches can one take when dealing with a priori rejections of miracles or of the resurrection? -- Answer: A priori rejections of miracles often say that, even before the data are viewed, there is simply not enough evidence to establish the occurrence of miracles. Here are some brief responses. 1) Jesus' resurrection is a special case where the shear weight of the evidence may be used to outweigh the doubts. 2) Another response can be made to someone's naturalism: "Sure, miracles are uncommon, but how would you know that they can never have occurred unless you already know that naturalism/atheism is true? Share with me your proof for naturalism. Without that, your rejection of miracles is totally circular--you've assumed the position against miracles without proving it! On the other hand, what do you do with my evidence?" 3) Present several other heavily-evidenced approaches that show that the resurrection is not the only data that we have for the existence of the supernatural. I like to use accounts from the last decade or two that have been published, especially in medical journals. Two other very useful categories, even though the latter is not necessarily miraculous, is Intelligent Design or near-death experiences. Question: While many researchers have believed that Jesus' death occurred as the result of a ruptured heart, perhaps because of the heart wound, pathologists such as Frederick Zugibe have ruled this out as medically untenable. Other scholars have regarded asphyxiation as being the cause of death, depending upon the manner in which the victim was affixed to the cross. Zugibe carried out a series of experiments with people who volunteered to be tied to crosses, arguing that if the students were suspended from crosses with their arms outstretched but without hanging down, they experienced no problems breathing. Thus the often quoted theory that death on the cross is the result of asphyxiation is no longer tenable if Zugibe is correct. According to the physiological response of the volunteers, as closely monitored by Zugibe, death in this manner is the result of the victim going into hypovolemic shock, among other problems. Doesn't Joe Zias say some similar things? Is there any support for the apparent death theory here? In his treatments of the nature of crucifixion, Joe Zias does not deny the connection between crucifixion and asphyxiation, in fact he seems to favor it. But it may depend on how the victim is positioned. I said similarly in my chapter on the death of Jesus in my 1990 co -authored (with Ken Stevenson) book on the shroud of Turin. But it still leaves intact a fairly strong argument for asphyxiation. For example, asphyxiation follows naturally if the arms are nailed or tied closer to or above the head, instead of spread straight out. Zugibe makes a similar comment. A strong indication of asphyxiation is the breaking of the ankles. Why are we told this was done to hasten death? The most natural explanation seems to be that it induced asphyxiation. Even if asphyxiation was not the kind of death that Jesus suffered, virtually no scholar questions that he did die on the cross. It only means that he died by another means. Jesus Seminar co-founder Dom Crossan says that he takes Jesus' death by crucifixion absolutely for granted, and that it is as sure as any historical argument can be! That's quite strong! Marcus Borg says almost the same thing. After all, it's not required that Jesus died by asphyxiation, only that he did die. The medical argument for the heart wound seems to be quite solid on medical grounds. To my knowledge, most medical researchers strongly favor it. But note that this is a pierced heart, not a ruptured heart. You're right about that. The medical argument for a "sucking chest" wound also seems to be left intact. If Jesus were alive and a spear entered his chest, his executioners would have known that he was dead by the noise coming from his lungs. Most significantly, liberal scholar David Strauss' famous critique regarding the condition of Jesus' seriously wounded body clearly indicating that Jesus was alive but not resurrected has always been the key objection to swoon, according to critical scholars. This very strong criticism is undisputed by any of your questions. The chief point is that in the seriously-weakened condition caused by crucifixion, Jesus could not have convinced anyone that he had been raised from the dead! It would have been obvious to his disciples that he was alive, but no one would have taken his very seriously battered, scourged, nailed, bleeding, limping body to be that of a resurrected Savior! In other words, Jesus would not have provided any reason to think he had been actually been raised from the dead. In fact, after seeing him, it would be virtually impossible for the disciples to think he was raised. But that's the catch that is frequently missed in this argument: virtually all scholars concede that the data indicate clearly that the disciples at least believed that Jesus was raised. Hence, apparent death theories are mistaken, for there is a huge disconnect on this belief. It's looking more and more of late like the shroud of Turin at least makes a serious claim to being Jesus' burial cloth. If so, it's a final clincher against. the apparent death theory because there are a number of good reasons (including rigor mortis!) that the man in the shroud is dead. So, altogether, it would seem that we are on exceptionally strong grounds to say that Jesus definitely died on the cross. No wonder that critical scholars so seldom question this fact. Question: The Gospel of Matthew tells how Mary and Mary went to the tomb and saw an angel sitting on top of the stone. Mark tells that Mary, Mary, and Salome went to the tomb, were startled by seeing an angel inside of the tomb. Was there at least one other angel? Then again in Luke the women go into the tomb and are puzzled, then two "men," or angels, show up next to them and scare the daylights out of them. In John we also have two angels there. We do get the general idea that women went to the tomb and the angels proclaimed that Jesus was risen. But these contradictions on the number of angels keep me from knowing what happened. -- Answer: On the number of angels at the tomb, let's start at the beginning. It's true that Matthew, Mark, and Luke report either one or two angels. But John describes three trips to the tomb. No angels are mentioned on the first trip. Further, none are reported when Peter and John run to the tomb to check out the report. Only on the third trip do we hear that Mary saw the angels. So either the angels were present earlier or they were not (or some combination). If the angels were present on one or both of the two earlier trips, John doesn't bother to tell us, in which case he apparently thinks that other things here (like the resurrection!!) were far more important. But if John knows nothing of their presence the first two times, this may only mean that angels can alternately appear or disappear. If this is so, there could have been one, two, or one hundred. In other words, I think the Fourth Gospel is very helpful here, since by not answering the questions on the first two trips, we learn that, either way, the number of angels is both explainable and not the true focus of the account. Question: Christians say that if Jesus' body wasn't missing from the tomb, sources would have come forward and corrected false statements being spread by the apostles. How do we know that that didn't happen and we just don't have them available to us? -- Answer: You raise a good question about early sources questioning the empty tomb, but notice that it is an argument from silence. While we do have many sources that discuss Christianity and even some enemy attestation that admits the empty tomb, we don't have any reports that deny the empty tomb. Here's the key: we can only deal with what we have, and those sources do not dispute the empty tomb. Question: What evidence do we have that the tomb of Christ was secure from grave robbers? Some have stated that there was a Roman guard at the tomb. Is there evidence for this or was it in fact just a bunch of inept Jewish Temple guards? How do we know someone didn't steal the body, not the disciples, but someone else? -- Answer: Robbing a tomb for valuables is one thing -- taking the body with you is something else! Why take a male body with you when you are trying to escape? Those who accept the presence of the guards do discuss their identification. But don't forget, while temple guards wouldn't be as well-trained as Roman guards, they would have the added advantage of great religious zeal as well as having to answer to the Jewish leaders, who wanted to get Jesus out of the way. The empty tomb is very difficult to explain. That's why it seems that about 70-75% of recent critical scholars accept it. That they do so tells us something very crucial about this fact -- why would scholars who are looking at the New Testament simply as ancient literature recognize the empty tomb unless it was highly attested? Even so, the more difficult item to explain is Jesus' appearances. Among all the problems with someone other than the disciples removing Jesus' body, the main one would be how does this do anything to explain the appearances to the disciples? Really, the only major thing gained by such a move is to explain the issue of the body. As I said, the appearances are the real difficult puzzler on this thesis. Question: I was talking with a friend who believes that the disciples lied about the whole resurrection thing. I told him that no one would die for a lie knowing it was a lie. He responded that they were already so deep in spreading a lie that they could not stop. How would you respond to thisthat they were already so deep into the fraud that they decided to play it out? He said that we have no evidence that disciples suffered for their faith, except from documents that were written centuries later. I know that isn't true but I didn't know what to tell him. -- Answer: Even if you were already deep in a similar lie, would you willingly give the rest of your life to promote what you know to be a meaningless lie, just to save face? Or would you simply admit you were wrong, or even take your family and leave town and start over somewhere else? Further, when your life was threatened, would you then stop and quit, or would you say, "I've gone this far promoting my life-long lie, so I may as well die for it!" Moreover, would all of the disciples respond this way in the face of their imminent deaths? Further, contrary to his assertions, we do have first century documents outside the New Testament that report that at least Peter, Paul, and James the brother of Jesus were martyred. (See next question below for details of these sources.) Plus, this objection says nothing about how and why Paul should come to faith. Lastly, why did James leave his skepticism when he wasn't part of the lie? In short, it's all highly problematic! This is why this particular hypothesis has been virtually ignored even by critical scholars for more than 200 years! Question: It is said that the disciples willingly died for their beliefs that Jesus Christ was alive. What is the historical evidence that they indeed did become martyrs? Who says they died for their faith? -- Answer: We don't have early historical evidence for the deaths of several of the disciples. But four key apostles--Peter, Paul, James the brother of Jesus, and John--are most important in terms of their immense influence in the early church and their strong testimony for Jesus' resurrection. We have very early, first century data for the deaths of the first three of these apostles. Clement of Rome (Corinthians 5) reports the deaths of Paul and Peter. Josephus, of course, is a non-Christian and reports James' martyrdom (Antiquities 20:9:1). On this topic, then, Christianity is on very firm grounds. However, besides these early first century reports, I think all we need to argue is that Jesus' disciples were willing to die for their faith, which virtually no one will dispute. This shows that they at least believed that their message was true. Question: What sources do you recommend in answering with various theories that attempt to explain away the resurrection, such as with hallucinations? -- Answer: For about 100 pages of general overview of many natural theses (even a few unordinary examples) and the key problems with them, I'd recommend the book by Mike Licona and myself, The Case for the Resurrection of Jesus (Kregel Publications, 2004). I include many more critiques of different versions of the subjective vision (hallucination) thesis in "Explaining Away Jesus' Resurrection: The Recent Revival of the Hallucination Theories" in the Christian Research Journal, Vol. 23, No 4 (2001), pp 26-31, 47-49. Question: Where can one find information on purchasing the 2000 debate between you and Antony Flew? -- Answer: The 2000 debate between Antony Flew and myself was published in a book in 2005. It is entitled Resurrected? An Atheist and Theist Dialogue (Rowman & Littlefield). At the time of the debate, Tony Flew was an atheist; he has since become a deist. If you prefer, the debate is also available on video from both John Ankerberg (423- 892-7722) and from www.impactapologetics.com. Question: Recently I was reading an essay by a fellow who seemed to be an atheist. Most of what he said wasn't really very new. But I was interested in his claim that the bereaved sometimes do have hallucinations of their loved ones after they've died. Now I realize that it is doubtful that this would happen to all of the disciples but I would be curious as to how common grief hallucinations are. Also, I've heard it said that the appearance to Paul could be explained by Paul just being so adamantly against the idea of Christianity that he actually hallucinates that Jesus is alive and then becomes the chief proponent of the Christian mission. This all seems absurd to me but I was wondering about your response. Both grief as well as other hallucinations fail to explain the empty tomb, for which there are many evidences. You have to suppose another natural hypothesis for the condition of the tomb. The conversion of James the brother of Jesus is a huge issue, since virtually all scholars think that the evidence indicates that he was previously a skeptic and wouldn't have a reason to hallucinate. Someone can say the cause was guilt, but there is not a speck of evidence for such a response. In spite of the suggestion you mention, Paul is still another huge problem. There is no evidence of any previous guilt, but only his testimony that he was totally sold out to his previous Jewish faith. And he persecuted the church accordingly (especially Gal. 1:13-14; Phil. 3:4-6). Everything we know says exactly the opposite. Further, for both he and James, the fact that they never wavered in their commitment tends to argue against such a "convenient" conversion on their parts. The fact that Jesus was seen in groups, which is recognized by virtually all scholars (see 1 Cor 15:3-7) basically kills this hallucination thesis by itself. So does the different people involved, in terms of various personalities, times, places, etc., for it would be almost impossible to believe that all of them, independently, were in precisely the proper frame of mind in order to hallucinate. Rarely do hallucinations ever change lives, in part because there is good data that people are often talked out of hallucinations. Question: You mention in your book co-authored with Mike Licona (The Case for the Resurrection of Jesus) that it would have been difficult for a skeptic like James to have hallucinated his brother's appearance because he wouldn't have been in the proper frame of mind to hallucinate. However, James was still Jesus brother and loved his brother. So couldnt this account for an hallucination? Is it true that group hallucination cannot happen? Is this a reasonable explanation of the resurrection? Why? Question: In one of your books you mentioned that 75 % of scholars accept the empty tomb tradition in the gospels as historically true. Do you have the source for that? -- Answer: I have not documented the list of scholars yet, although I have mentioned the study in a few places. Partially, this is because new studies are regularly coming out and I want to be as complete as I can. I am presently hoping to go back and update that study and see if any of the statistics have changed. But I do mention the statistics in a recently -published article, "Resurrection Research from 1975 to the Present: What are Critical Scholars Saying?" It was published in The Journal for the Study of the Historical Jesus (Vol. 3, 2005). Question: What are a few sources that you would recommend for studying the evidence for the Resurrection? -- Answer: I would recommend NT Wright's The Resurrection of the Son of God (Fortress), Bill Craig's writings on the resurrection, especially his Assessing the New Testament Evidence for the Historicity of the Resurrection (Mellen) or my The Risen Jesus and Future Hope (Rowman & Littlefield). Question: As a Christian I have always held dearly to the teaching of the resurrection of Christ, and what this means for all of humanity. However, I have been reading books by many authors and skeptics who do not support this claim. However, I still say "I believe" in the resurrection because I am now focusing on topics like the empty tomb, the transformation of the apostles, and the rapid rise of Christianity after Jesus' death. I'm understanding this as the "Resurrection package", and I don't mean this in a disrespectful manner. -- Answer: I think that almost all Christians ask questions/doubt at some time, usually dependent not on the state of the evidence, but on our moods, feelings, etc. I think such questions and second-guessing ourselves is true of most human beings, believers or not. So in my opinion, the mere fact that you ask tough questions proves nothing about a lack of faith. Now, if you think that you don't really believe the resurrection, that's another matter. In the New Testament passages that define the Gospel content, the Gospel message which we are told to believe for salvation and eternal life is the Deity, atoning death, and bodily resurrection of Jesus. If you have believed in Jesus in light of these facts, that's the Gospel (as in 1 Corinthians 15:1-2; see also verses 3-7; cf. Rom. 1:3-4; Rom. 10:9; or the Acts creedal texts in passages such as 1:31-36; 4:10). I'm talking about really believing this while occasionally having questions. That's pretty normal. Sure, the evidences you mention for the resurrection are very strong. This is why more scholars writing on the topic today believe in the resurrection than those who don't. By the way, the view that Jesus was raised bodily also seems to be the most prominent critical view at present. Question: What do you think the resurrected Jesus looked like? Do you think he had huge scars and bruises, or do you think that all the scars and markings of his death were healed? Do you think he "glowed" with the glory of God inside of him? I just wonder if this will be the same Jesus that believers will see some day? -- Answer: The Gospels seem to say that Jesus appeared in a very normal manner--so normal, in fact, that that alone seemed to bewilder his disciples. When Paul saw Jesus on the other hand, Acts tell us that he was blinded by the light of Jesus' body. In Philippians 3:20-21, Paul calls Jesus' resurrection body a glorious body. Question: Where can one find your minimal facts argument for the resurrected Christ? -- Answer: Probably my best treatment of the scholarly attestation to the minimal facts is in my book The Risen Jesus & Future Hope (2003). See especially the various lists on pp. 15-31. The endnotes, in particular, provide the relevant sources. Question: Could you give me some references concerning your minimal facts arguments, especially pertaining to the reliability of Scripture and miracles? -- Answer: My minimal facts arguments for the reliability of Scripture was published in the Christian Research Journal Vol. 28 (2005), pp. 22-31. Another on inspiration was published in the Areopagus Journal Vol. 2 (2002), pp. 11-16. Some thoughts on prophecy, while not formally published, have been in my graduate class notes for many years. The two almost 500 pp (each) treatments of on miracles are Graham Twelftree, Jesus the Miracle Worker (InterVarsity, 1999) and John Meier's Marginal Jew, Vol. 2, 1994. Question: What do you say to someone who might asks how do we know that the early church didn't just make the stories of the disciples martyrdoms? Also, what evidence do we have that the apostles' preached the resurrection in Jerusalem 50 days after the crucifixion? -- Answer: We have strong data on at least the martyrdoms of Peter, Paul, and James, the brother of Jesus, recorded by Josephus and Clement of Rome, both before the close of the First Century. Josephus, of course, was not a Christian, so we cannot argue that he wanted to make the Christians look good. Further, Roman historians like Tacitus and Suetonius, along with Roman governor Pliny the Younger also tell us that early Christians were persecuted and even killed. These were also non-Christian authors who were trying to disparage Christianity, not brag about believers. Then, just a few years later, others died for their faith, like Ignatius and Polycarp. Willing deaths show that the martyrs sincerely believed their own reports. So, just to preach Jesus in the early church context would expose the preacher to at least the possibility of death. Virtually no scholars would deny that this occurred. But please note that I generally base these points on the disciples' willingness to die, because this keeps me from having to prove the actual point and their being willing is all you need to show they were sincere. On the early preaching 50 days later, all we have for that exact time is the comment in Acts. But nothing turns on that exact time. Critical scholars acknowledge that the preaching began in Jerusalem pretty quickly. For example, James D. G. Dunn recently wrote in his book Remembering Jesus (p. 855) that the 1 Corinthians 15 creed was formalized and taught within months of Jesus' death. Question: In response to an argument appealing to the resurrection of Jesus Christ, it sometimes will be objected that the resurrection is not unique but fits a pattern of similar claims made on behalf of other religious figures. The most frequent example is Apollonius of Tyana. Apparently such an objection doesnt disprove the resurrection, but challenges the uniqueness of such a claim. How would you respond? 2) More importantly, no evidence is produced in these cases (because there is none!). Apollonius of Tyana and another key figure, Sabbatai Sevi, are perhaps the most mentioned of the historical persons, and yet the sources do not even claim a resurrection for either one! In the case of Sevi, his own chief disciple and forerunner, Nathan, even held that Sabbatai never died in the first place, thereby proclaiming the Swoon Theory!! So make it a practice to always ask after one of these cases is mentioned: "And since you've required this of Jesus' resurrection, could you please tell me what early evidence--within a decade or two--supports a resurrection for this person?" Watch the dead silence while they squirm and/or change the subject!! 3) The sources that report other ancient "miracles" are far too late to be of any help--from centuries to a thousand years or more after the alleged event! 4) As several studies have shown, there are virtually no accounts prior to Jesus that are even very similar to Jesus' miracles. For many more details see my essay Did Jesus Perform Miracles in Jesus Under Fire, edited by Michael Wilkins and J.P. Moreland, especially pages 119-124. On Apollonius in particular, see the specifics there, on pp. 123-124. On the non-historical myths like Isis and Osiris, check my response to Evan Fales in Philosophia Christi, where many other considerations are mentioned. You can also get a copy of my article "Resurrection Claims in Non-Christian Religions," in Religious Studies, Vol. 25 (1989), pp. 167-177. Question: How would you address high school or even junior high students (perhaps even unbelievers) about the resurrection? How would you point out the particulars of doing history? -- Answer: I might try to get them to think through the subject along with me, by asking: how do we know when something happened in history? For example, how do we know that the Magna Carta was really signed, or that Julius Caesar or George Washington ever lived? Ask what sorts of criteria we would need. Point them in the direction of needing good records, especially those by eyewitnesses. Reading someones account of walking and talking with Washington would be a good example. A copy of the Magna Carta would be nice, etc. Maybe write these historical criteria on a board or somewhere. Then tell them that we have that sort of evidence for the resurrection--many reliable writings, eyewitnesses like the apostle Paul, an empty tomb (archaeology), possibly the Shroud of Turin (more archaeology), and so on. Attempts by critics don't disprove this event. So what we are left with is that Jesus died by crucifixion and his disciples believed they saw him afterwards. Virtually every critic admits these two facts. But here's the key: since natural hypotheses don't explain these two facts, as these same critics usually admit, now we're pretty close to a resurrection. Further, we have the disciples' transformations due to their beliefs. These high school students would probably like to hear details about how some of these disciples died for the resurrection message. This proves the sincerity of their beliefs. Tell them that two ancient critics, James the brother of Jesus and Paul, both were unbelievers before they met the risen Jesus. After making a simply but exciting case, I would tell them that if Jesus rose from the dead 2000 years ago, then this message is still relevant and can change their lives today. If God raised his Son from the dead and God was in charge of the world in 30 AD, then he is still in charge today. This says something about pain and suffering, for example. And the New Testament repeatedly links the resurrection to the believer's resurrection and eternal life (almost 20 times in the New Testament). Then I would leave them with my testimony--as a real example of life having meaning. It's so crucial today that young people see the connection between truth and their needs--that Christianity really answers their personal questions. I think it can all be done in an exciting and interactive manner. If the students get their questions answered too, this makes it all the better. Question: I have heard that the earliest references to other ancient figures being raised from the dead all post-date Jesus. Is this true? -- Answer: Yes, that is strictly true. For more details, you can check either The Case for the Resurrection of Jesus, by Mike Licona and me (Kregel, 2004), pp 89-92 or my book, The Risen Jesus and Future Hope (Rowman & Littlefield, 2003), pp. 29-30. 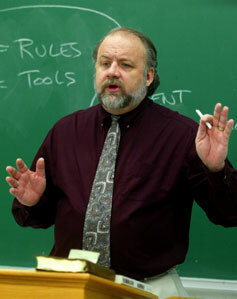 You can also check my website (www.garyhabermas.com) for some video and audio lecture material on these subjects. Question: Since Wright's book on the resurrection came out, do you think that the popular refrain that "Paul's concept of resurrection was spiritual, not physical" has lost any of its popularity? -- Answer: I think that Wright's volume will have continued influence on the notion of bodily resurrection. At least I hope that it does. But I have recently documented that the trends toward the bodily nature of the resurrection appearances were beginning to turn prior to the publication of Wright's text. My essay "Mapping the Recent Trend Toward the Bodily Resurrection Appearances of Jesus in Light of Other Prominent Critical Positions" recently appeared in The Resurrection of Jesus, edited by Robert Stewart (Fortress, 2006). Question: I was wondering if there are any books, articles, or any other replies being given to the book, The Empty Tomb: Jesus Beyond the Grave, edited by Robert Price and Jefferey Jay Lowder? -- Answer: Yes, I know of two responses that are due to be published pretty soon. One is by Steve Davis, in the journal Philosophia Christi. The other is a very lengthy response by Norm Geisler in the journal Christian Apologetics. Question: Could you list some of the books you have written on the resurrection and the historical Jesus? I have many questions and doubts concerning these subjects. 5) The Risen Jesus & Future Hope (Rowman and Littlefield). Regarding your doubts, I have also written The Thomas Factor (Broadman and Holman) and Dealing with Doubt (Moody Press). Question: I think it is obvious that Jesus really existed, but I cant accept the resurrection. I just dont feel that it happened. What advice can you give me? -- Answer: Try your skepticism over against the historical evidence for Jesus resurrection and try to explain this event some other way. I questioned it for 10 years and ended up doing my Ph.D. dissertation on it at a state university. I couldnt just say that it was true because the Bible was inspired! But there is some real serious evidence for the resurrection. Again, we can discuss all this if you want. Regarding your feelings about Christian doctrine, you may have to learn not to ask yourself how you feel about something. Feeling differently about whether Julius Caesar was murdered 20 centuries ago won't change the fact of his death. So again, lets look at the evidence for the resurrection and see if you can explain it just as well in some other manner. Christianity rests on the truth of Jesus' Deity, death, and resurrection. We can show that these beliefs are accompanied by incredible evidence and are the very best explanations for the data that we know. If this is so, what stands in the way of your believing it? Question: Where do you make the move from the resurrection of Jesus to the truth of Christian theism? -- Answer: Arguing from a minimal facts argument for Jesus resurrection to Christian theism is quite difficult, especially in philosophical terms. Nonetheless, I have attempted in several places to do so. The most detailed case is presented in my volume The Risen Jesus and Future Hope (Rowman & Littlefield, 2003). The first six chapters argue from the resurrection, to the likelihood of theism, to the truth of Jesus' deity and message, to the truth of the Kingdom of God and eternal life. Subsequent chapters move on to Scripture and several practical applications, like the fear of death and suffering. If you are interested, it was reviewed in recent issues of both Philosophia Christi and by the Journal of the Evangelical Theological Society. Question: What reasons would you give to show that the resurrection of Jesus is central to the Christian Life? -- Answer: Basically, the resurrection is essential to the Christians faith for a number of crucial reasons. It is at the very center of the Gospel data, which involve at least the deity, death, and resurrection of Jesus. We must respond to Jesus in faith/commitment. But the resurrection is also the fact that evidences all the other facts. Further, in the New Testament, the resurrection is said to be the center of theology (such as 1 Cor. 15:12-20) as well as Christian practice (like 1 Pet. 1:3-9). Most of all, that Jesus was raised from the dead guarantees that believers will also be raised. For example, as great as creation is, the resurrection is a greater miracle, because it signals the beginning of the New Creation, that we will never die. It is not even claimed that other major religious founders were raised from the dead. Check out 1 Corinthians 15:12-20 and I think you'll get a few more ideas, too. Question: John 20:7 mentions that the cloth that wrapped Jesus' face in burial was folded and separated from the other burial clothes. Is there a reason why John comments on this? What is its significance? -- Answer: Unfortunately, we cannot speculate any further about Jesus' face napkin with any degree of assurance, simply because we are not told. It could be as simple as John thinking that it was interesting that they were separate and simply recorded the available data. But you're right that it does nothing to disprove the shroud of Turin, since the man in the shroud also appears to have a face cloth wrapped around his head. Question: In John 20:7, John records that there was separate linen used for Jesus' face in his burial. However, the Shroud reveals the image of man on the entire linen, including the face, which is not isolated to a separate linen. Therefore, the Shroud seems to contradict the record that we have in John, and should not be believed to be Christ's cloth. -- Answer: In my opinion, I don't think John 20:7 disproves the shroud of Turin at all. In our books on the shroud, Ken Stevenson and I argued that there was indeed a face cloth around the head of the man buried in the shroud. There appears to be a gap caused by something between the man's face and hair, keeping the hair from resting on the face. If this is the face cloth, it appears to be what is what is described in John. John 11:43-44 (Lazarus) and 20:7 (Jesus) are the only places in the New Testament where a face cloth is mentioned and in both places, it is described as being placed around the head or face. Further, as we describe in our book, the Jewish Mishnah commands that the jaw be bound up after death. On the shroud, it appears that this is exactly what happened. For example, the beard under the chin is also pulled back against the throat by the same invisible object that appears to be wrapped around the face of the man. Question: I am an agnostic who is interested in studying theism. Christianity intrigues me. I like empirical evidence and have some questions regarding near death experiences. Could NDEs result from deceptive spiritual forces to which non-Christians may be susceptible due to the state of their heart? Where do you reference the evidential NDEs to which you refer? Does one of your publications answer these issues? -- Answer: Yes, I have co-authored a book with JP Moreland, Beyond Death (Wipf & Stock Publishers) with three lengthy chapters on NDEs. I have a partial chapter on your first question. The short answer is that some NDEs definitely indicate what might be called spiritual forces. Basically, I don't think the nature of NDEs helps us construct what kind of world view is true, only that the naturalistic alternative is probably false, since there is very strong evidence here for an afterlife. Still, I think that after they have an experience that is sometimes verifiable, NDErs then basically interpret their these experiences according to their own world view. But if the evidence does strongly indicate an afterlife, naturalism is the odd man out. The book provides about 20 evidential cases of various sorts, including detailed references. Please let me know what you think about these matters. Systematic Theology (Bethany). Question: Who published your book that talks about near-death experiences? I remember you mentioning that some people experienced NDEs, some of which were of hell-like states. Who went where? Were the people who went to heaven exceptionally good or were the people who went to hell really bad? I just thought it might provide some intriguing insights into who gets into heaven. This is an eternal question! -- Answer: Yes, I co-authored a book with J.P. Moreland, entitled Beyond Death, published by Wipf and Stock Publishers of Eugene, OR. It has three chapters on NDEs. It is very difficult to answer your question about Christians and non-Christians using only NDEs, since we are dealing with people's personal experiences. Then we have to add their interpretations of these experiences. But we do discuss this question in a good deal of detail on pages 178-183. Christians teach that salvation comes from making a faith commitment to Jesus Christ. As I mentioned in the lectureship on Jesus' resurrection to which you refer, whenever the Gospel facts are defined in the New Testament, the "core" that is always mentioned is the Deity of Jesus Christ, his death for our sins, and his resurrection. This is the factual side. When a person in effect says, "I do" to Jesus, believing this Gospel, they become a Christian, which gives them, among other things, eternal life. I hope this is helpful. Question: What references would you recommend concerning the evidential value of NDE's? Please send a list. The latest edition of my book with JP Moreland, either the Crossway edition (1998) or the Wipf and Stock reprint (2003), include three chapters on NDEs as opposed to only two chapters in the earlier edition. Negative critiques seldom ever address the evidential aspects of NDEs. For one that at least makes the attempt, see British psychologist Susan Blackmore, Dying to Live: Near Death Experiences (Prometheus Books, 1993). I responded to Blackmore, claiming that we do have at least some of the evidence that she required, including a few more Bibliographic items for you: Gary Habermas, "Near Death Experiences and the Evidence: A Review Essay," Christian Scholar's Review, 26:1 (Fall, 1996), pp. 78-85. Sabom also wrote recently a two-part article where he shares some of his conclusions on NDEs: "The Shadow of Death," parts one & two, Christian Research Journal, 26:2 (2003) & 26:3 (2003). A critical response (with a creative title) by a University of Washington Medical School professor: If I Should Wake Before I Die: The Biblical and Medical Truth about Near- Death Experiences (Crossway, 1997). Although it is a popular account, prominent New Testament scholar Graham Tweltree tells about his own NDE in: Life after Death (London: Monarch, 2002), pp. 24-27. Although it is older, I assume you have seen the often-reprinted article by well- known naturalistic philosopher A.J. Ayer, "What I Saw when I was Dead," originally published in the Sunday Telegraph, 28 August, 1988. Question: What sources would be useful in critiquing the doctrine of reincarnation from a biblical perspective? -- Answer: I co-authored a book with JP Moreland, entitled Beyond Death. It came out with Crossway Books in 1998 & a new version was recently published by Wipf & Stock Publishers. (An older version without all the material is called Immortality from Thomas Nelson.) I tell you all this in case you can find a used copy. Anyway, there is a chapter full of critiques of reincarnation. You may find it helpful. Other good books on reincarnation include the following: Norman Geisler and J. Yutaka Amano, The Reincarnation Sensation (Tyndale House); Mark Albrecht, Reincarnation: A Christian Appraisal (InterVarsity) and John Snyder, Reincarnation vs. Resurrection (Moody Press). Question: The Bible states that we will die, and after that we will be judged. The Bible indicates that hell will be a punishment by fire. Some NDE's also indicate the same. I know that in your book together, J.P. Moreland states that, in the Bible, the descriptions of hell indicate some figurative language, something that I hope is true. But, if so, how does one account for the hellfire NDEs? If hell is figurative, in the sense of emotional suffering for one's rejection of God, like CS Lewis' view, then at the very least, life is completely empty without God. Earlier in my life, I could certainly attest to that truth. But if hell is physical suffering , then physical suffering is added to the emptiness. I absolutely don't want anyone to go through either form of hell. So shouldn't I be telling this to every person I see, praying that they come into a relationship with God through Jesus Christ? But like most people, who wants to be rejected or laughed at? But wouldn't talking to others be the proper and practical response? This consumes me. Anything help you can provide will be most appreciated. -- Answer: I think the verse in Hebrews is a general statement about human beings. People who were raised from the dead in the Bible, like Lazarus, were raised by a direct act of God--a miracle. So there are some exceptions to the statement in Hebrews. The hellfire NDEs consists of people's reports and experiences. They still could be correct in their reporting, but it's just very difficult to know for sure. According to both views, hell is a literal place of punishment without God for eternity. So you are definitely right to want to tell others. And I, too, share with you the difficulty of not liking to start religious conversations unless I am asked first. So, lately I've been trying to think a lot about how I'd tell someone if my favorite football team won the Super Bowl, or if I caught a large bass. I'd be so excited that I wouldn't care who heard me. So especially if the persons are my loved ones and friends, why wouldn't I want them to hear the greatest news in the world? For some really neat ideas about how to witness naturally by using some very innovative cards and things, see www.livingwaters.com. Question: Can the intermediate state be compared to the traditional doctrine of Purgatory? It seems from what I have read that it cannot. What do you think? -- Answer: You are right that the intermediate state is certainly not like the traditional Roman Catholic doctrine of purgatory. This is especially so because of the suffering or purifying aspects that many envisage. An interesting comment was made by my friend, Peter Kreeft, a Roman Catholic philosopher. He differs from the majority of Roman Catholics and says that purgatory isn't about suffering, so he call it "God's kindergarten" or stage one of eternity (Everything You Ever Wanted to Know about Heaven, Harper and Row, pp. 21-22). That particular comment is closer to the Protestant view. Question: Can you provide any good reference works on the intermediate state? Can you recommend one of your writings? -- Answer: Regarding the intermediate state, I'm not sure how much I can say briefly. You may have noticed that very little is published on the subject. Probably the chief text is 2 Cor 5:1-11. In Beyond Death, my co-author, J.P. Moreland, has a good chapter on the subject. The book is published by Wipf and Stock Publishers of Eugene, OR. Question: When family members have passed away will they again be joined in heaven? Will husband and wife know one another and perhaps even live in eternity together? -- Answer: I think there is no question from Scripture that we will know our loved ones in heaven (Matthew 8:11; 1 Corinthians 13:12, both in context). I think it is also very important that the disciples knew Jesus, even in his resurrected body. I am not sure, however, what will be the precise relation between husbands and wives in heaven. But it makes sense that such relationships will be very special. Question: Does some part of our being live on in another place once the brain ceases in this physical world? What about brain injuries? -- Answer: On my view, the abilities of our spirits in this life are sometimes limited by brain/body problems. Perhaps a helpful analogy is this: picture a very healthy man who is trapped in a house. Although he is fine, he is limited in his knowledge of the outside world by what he can see through the windows. However, all but one of the windows is blocked and the only other one is mostly blocked. Although he is well, he is very much limited by the conditions of the house. I think this is somewhat like the soul, in that it, too, is fine, but is limited by what actually happens to its body. After death, the spirit lives separately from the body, until it is given a new, resurrected body. No, the brain does not die with the body. What is the evidence for these things? One of my primary responses comes from my 30 year study of near-death cases. I have found almost 100 cases that are accompanied by evidence--some so impressive that it has been written up in secular medical journals. For example, some cases involve people reporting verifiable things that happened a distance away, but after they were pronounced dead and lying where they couldn't see these things physically. Others have correctly described a variety of things even while they had no heart beat, no brain waves, etc. This tells me that people seem to live even while their bodies are "dead" and that sometimes they are capable of observing things even while their bodies are incapacitated. Question: I have recently read some books by Lee Strobel, such as The Case for Easter. He interviews you and mentions another book called Living Your Faith: Closing the Gap between Mind and Heart. I have tried to find this book, but I understand that it is now "out of print." Can you tell me where I might find a copy? -- Answer: The book you mention (Living Your Faith) was written by Terry Miethe in 1993. In it I have an essay entitled, "A Plea for the Practical Teaching of Christian Philosophy." It also appeared in an earlier book by Dr. Miethe, entitled A Christian's Guide to Faith and Reason (1987). Both books were published by College Press in Joplin, MO (1-800-289-3300). You could try a used book seller like one of the many on Internet and check under his name. I'm sorry not to have much more information than that. Question: I am trying to do an Apologetic study against the claims that Christianity was based on teachings from pagan religions. Could you inform me of any books that deal with this issue? -- Answer: A very helpful book is Ronald Nash, "Christianity and the Hellenistic World" (Zondervan, 1984). Another good source is Norman Anderson, "Christianity and Comparative Religion," (Inter Varsity, 1984), esp. Chap 2. Another more specific essay is by Bruce Metzger, in "Historical and Literary Studies: Pagan, Jewish, and Christian" (Eerdmans, 1968), Chap 1. A real classic is Gunter Wagner, "Pauline Baptism and the Pagan Mysteries," (Edinburgh/London, 1967). Question: I am looking for a list of strong books that discusses Jesus resurrection from a historical standpoint. Can you help me out with a list of sources? -- Answer: Some key works include William Lane Craig's Assessing the New Testament Evidence for the Historicity of the Resurrection of Jesus (Mellen, 1989). Craig also has a couple of debates on the subject, published by Baker Books and InterVarsity Press, respectively. My volumes on the subject include The Historical Jesus (College Press, 1996); Did Jesus Rise from the Dead? The Resurrection Debate, with Antony Flew and Terry Miethe (Harper and Row, 1987; reprinted by Wipf and Stock, 2003); The Resurrection of Jesus (Baker, 1980); The Risen Jesus and Future Hope (Rowman and Littlefield, 2003); co-authored with Antony Flew, Resurrected? (Rowman and Littlefield, 2005); and, co-authored with Mike Licona, The Case for the Resurrection of Jesus (Kregel, 2004). For more popular books for your class, see Craig's The Son Rises (Moody, 1981) and my two little volumes entitled Resurrection, Vols. 1 and 2 (both from College Press, 2000). Question: Please recommend a few books that critique the novel The Da Vinci Code. 6) Karl Payne, The Da Vinci Code (TCT, PO Box 31, Redmond, WA, 98073-0031).